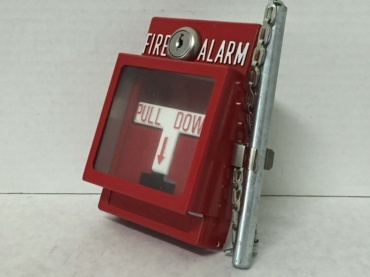 When the glass breaks, the button behind it gets released, which in turn triggers the alarm. 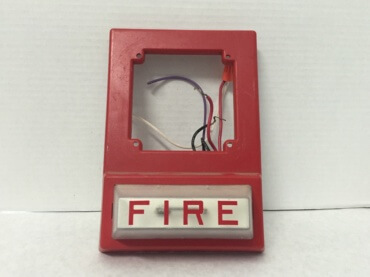 No documentation available. 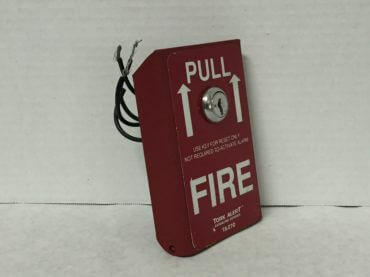 This pull is very poorly designed. 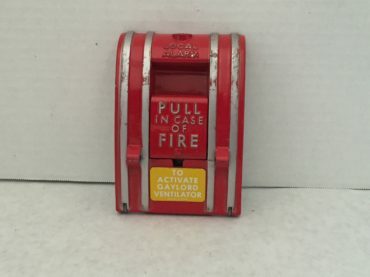 I can’t figure out how it’s supposed to activate. 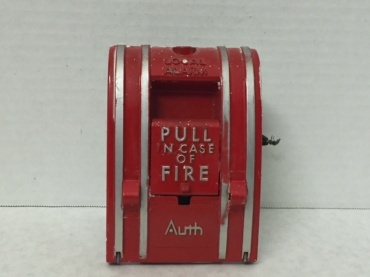 This pull station is slightly different from the ADT 5050-001. 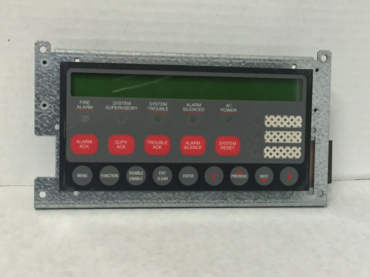 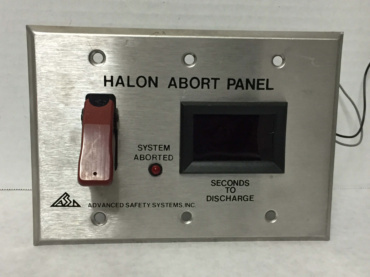 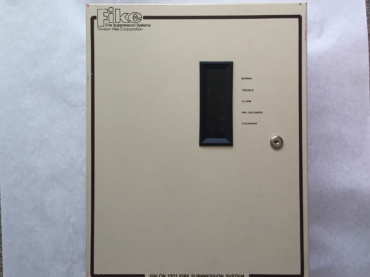 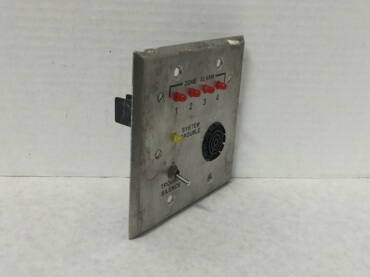 This unit features an abort switch as well as a countdown timer. 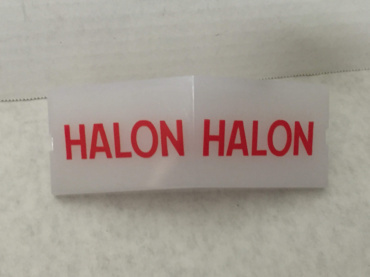 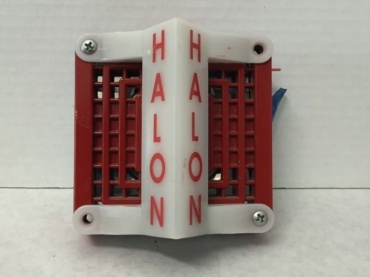 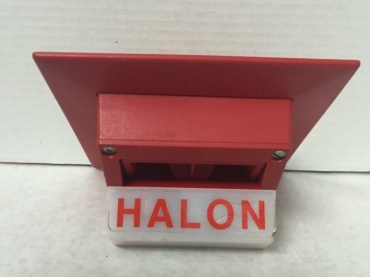 It was meant for a Halon suppression system. 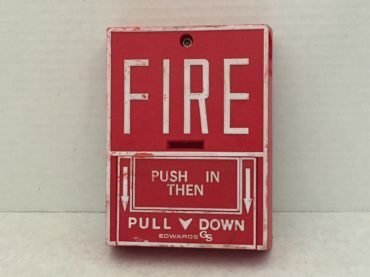 This is a pretty rare rebrand of the Edwards 270-SPO pull station. 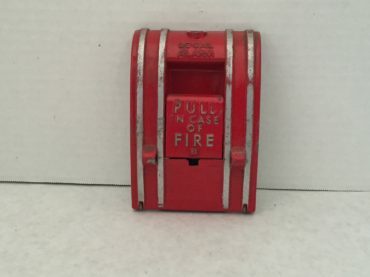 This pull station is fairly large. 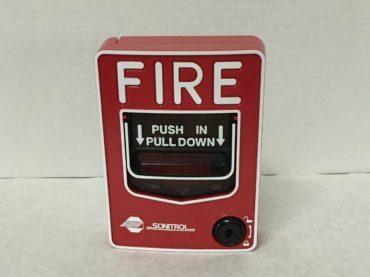 I cannot figure out how to reset it for the life of me. 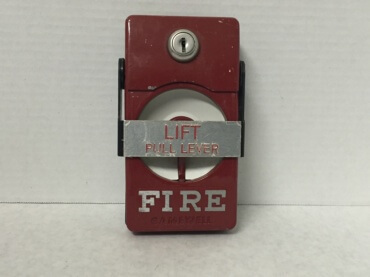 Unlike my other 4050, this one has a plastic cover that goes over the pull lever. 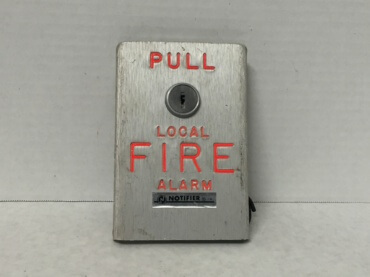 This is the “Local Alarm” variant of the 4050 pull. 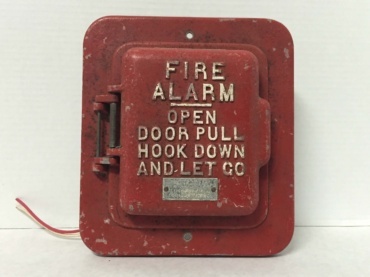 In all of its old-fashioned coded-goodness. 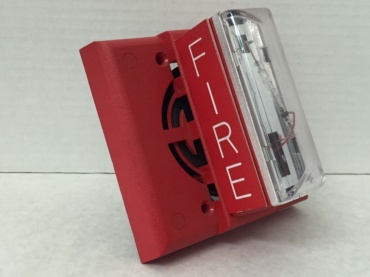 Since this smoke detector is missing its label, DI-2D is the best guess I have for its model. 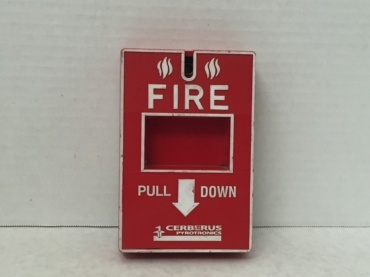 This Cerberus Pyrotornics MS-151 is in a bit better shape than my other one. 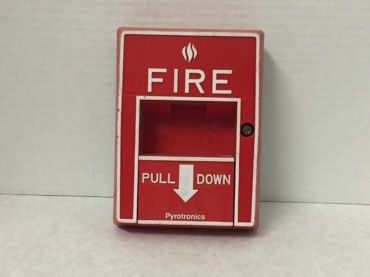 This is the addressable version of the Pyrotronics MS-501. 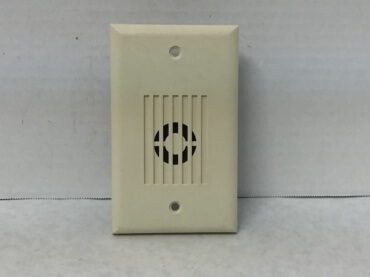 Multi-tone alarm without the strobe. 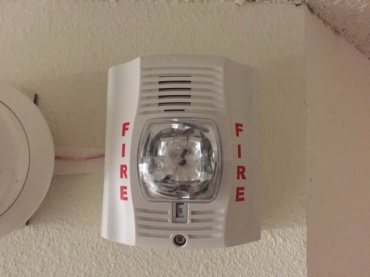 This is an interesting strobe because it is single gang (half the width of a normal alarm). 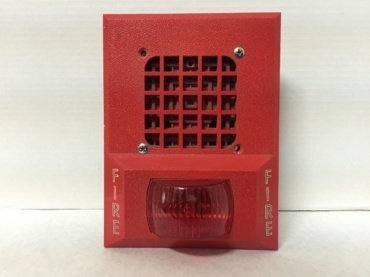 Unlike my other F1-A, this one has a red handle and the hex lock on the front. 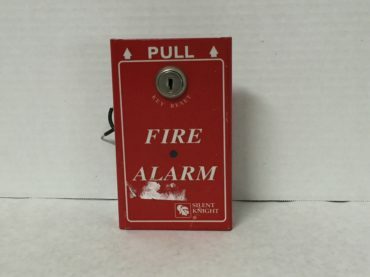 This is a very strange alarm. 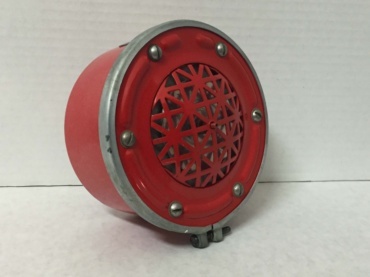 It looks like a speaker, but is actually an electronic horn. 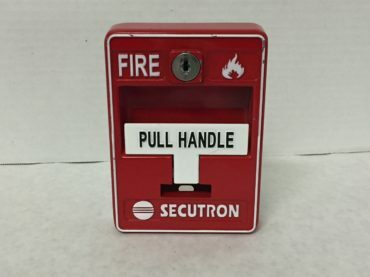 This pull station is an older 270-SPO. 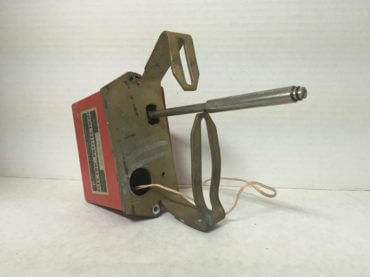 For a comparison, check out my other Edwards 270-SPO. 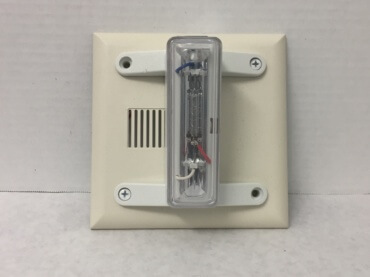 This is like a 270-SPO, but with wire leads. 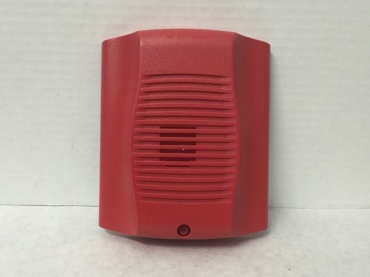 This is essentially the single-action, non-addressable version of the EST SIGA-278. 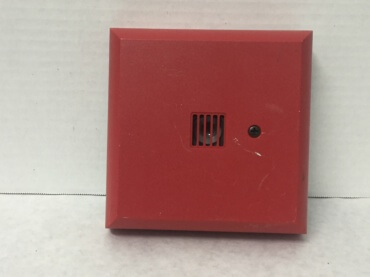 This is a 135F fixed temp and rate of rise heat detector. 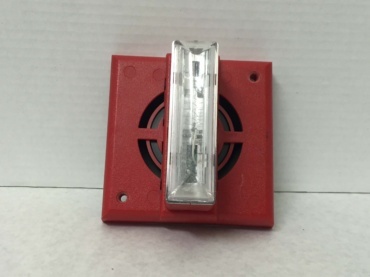 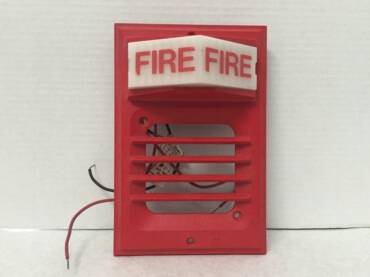 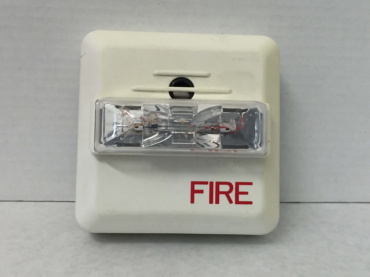 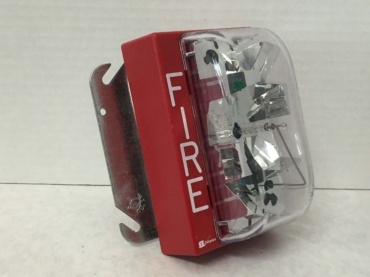 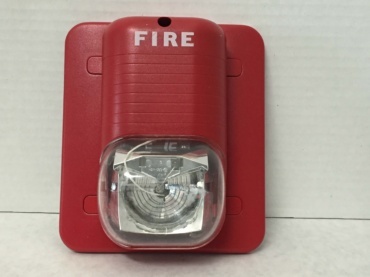 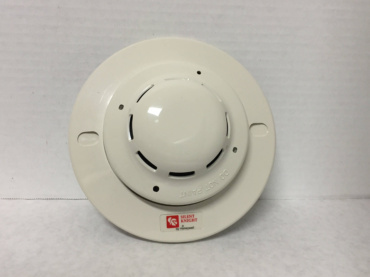 The horn and the strobe can easily be separated on this alarm since they are not wired together. 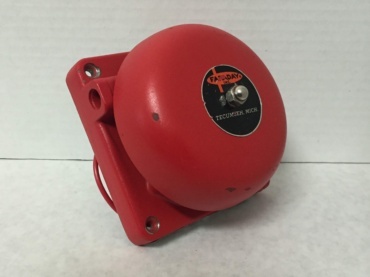 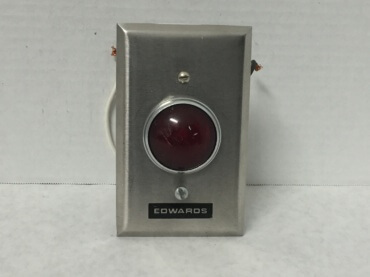 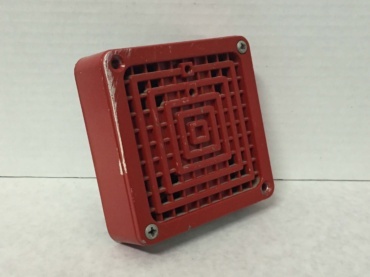 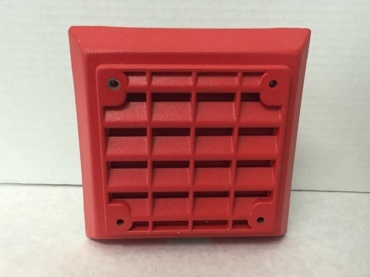 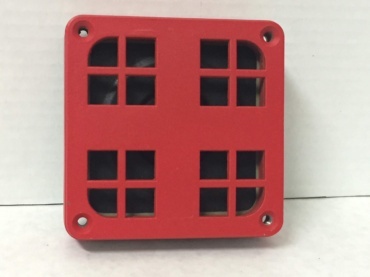 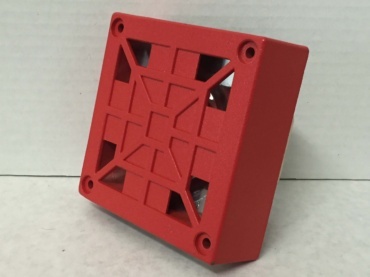 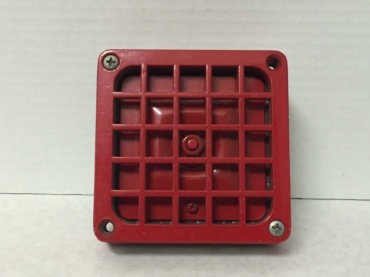 This strobe cover would fit on an alarm such as the Edwards 802-2B. 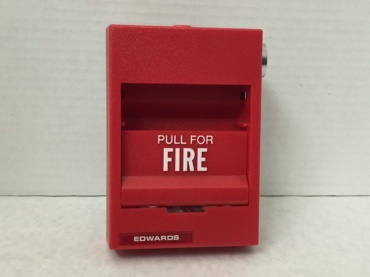 This is a coded pull station, and really is just a bigger version of the Edwards 270-SPO. 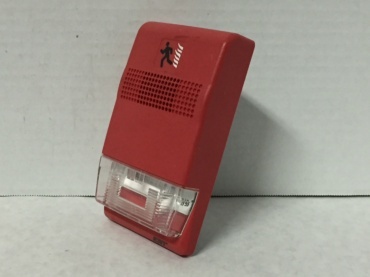 This is an Integrity single-gang remote strobe. 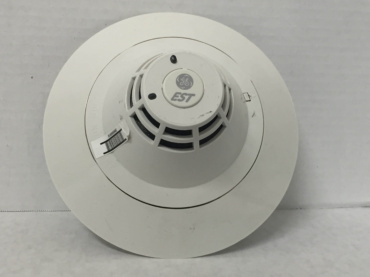 This is another example of an EST-branded System Sensor device. 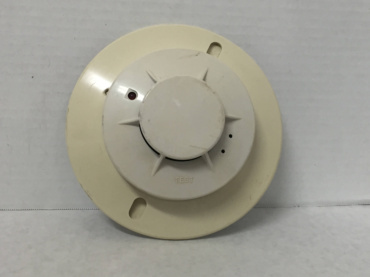 I believe this particular smoke detector is addressable. 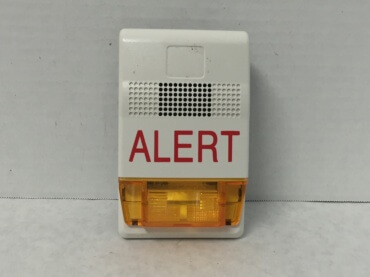 This alarm has a strange back, specifically the part where the wire terminals are. 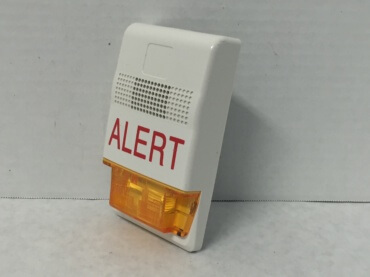 This alarm is similar to an EST 757-7A-T, but features a “Power Saver” strobe. 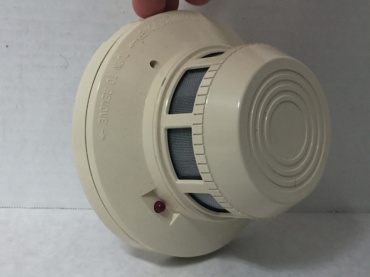 This alarm is similar to an EST 757H-75PS, but it is a ceiling-mount alarm and a speaker/strobe. 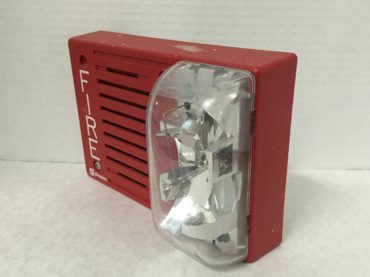 This is a very unique looking horn/strobe. 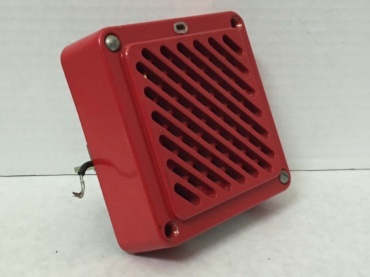 This unit has an electronic horn rather than an electromechanical mechanism. 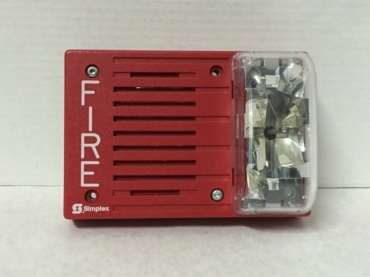 This is a chime/strobe “Genesis.” It does not have the fire lettering on it. 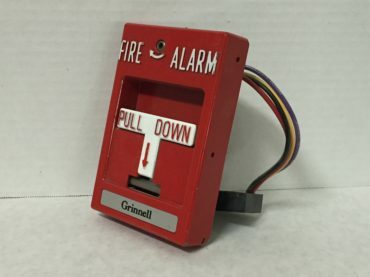 Really no difference between this and my other EST G1R-CVM. 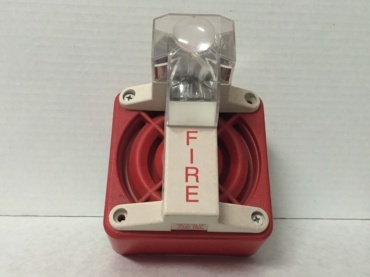 This is a horn/strobe “Genesis.” It is very small, smaller than many pull stations. 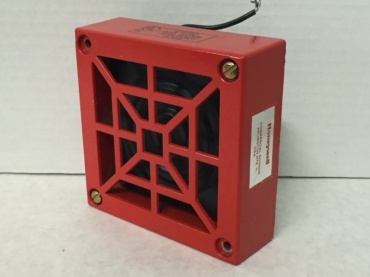 This is a ceiling-mount Genesis speaker/strobe. 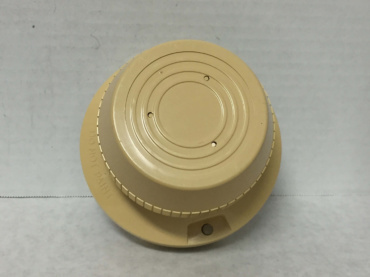 This is a ceiling mount strobe which would be used for general signaling purposes. 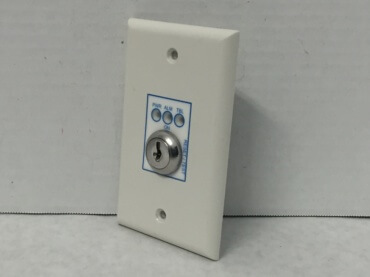 This test switch is equipped with power, alarm, and trouble lights, and operates using an EST CAT 45 key. 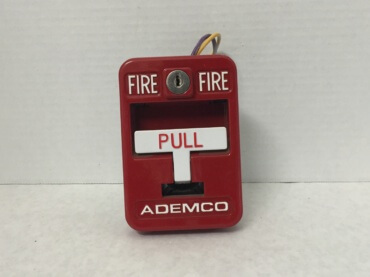 This pull station used to be addressable, but I have since removed the addressable module. 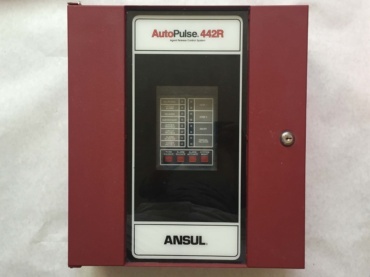 This unit is rusting ever so slightly. 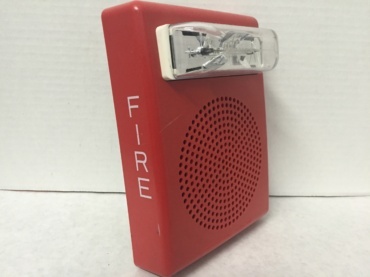 It features a newer EST logo on it. 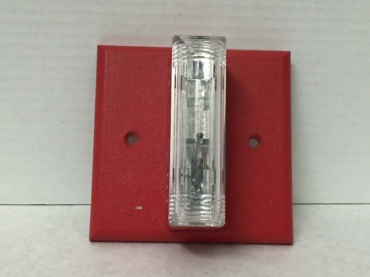 This light is described as a “corridor light” on this item’s label. 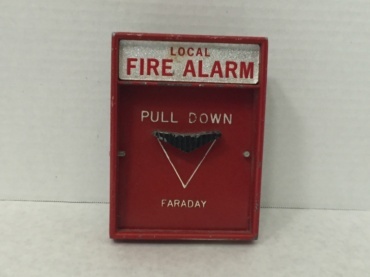 Here’s a rare version of the Edwards 270-SPO rebranded by Faraday. 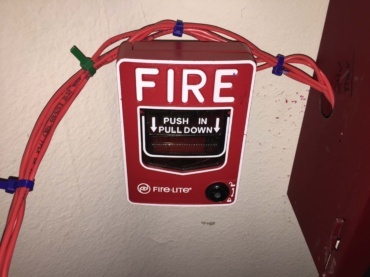 It’s pretty difficult to tell if this pull station has been activated. 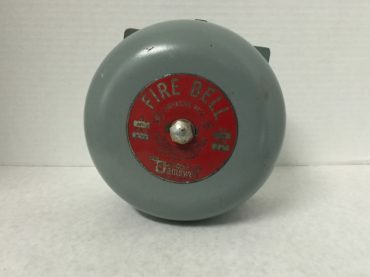 This bell is pretty a pretty straightforward 24 VDC bell. 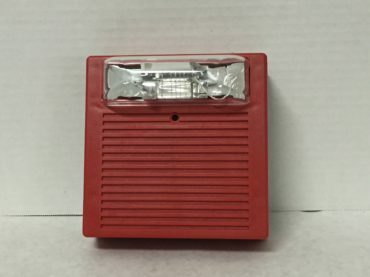 The bump on the front of this strobe is a magnifier. 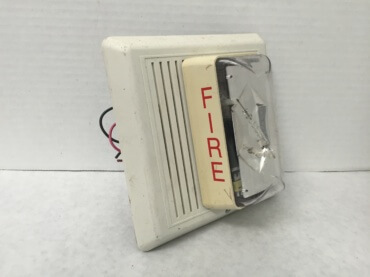 You can see straight through the grille on this horn to the metal plate on the mechanism. 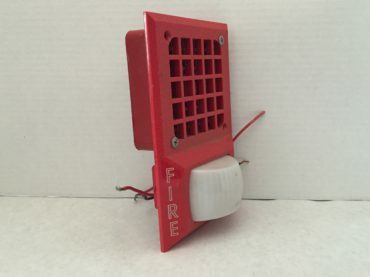 This alarm uses an electromechanical horn. 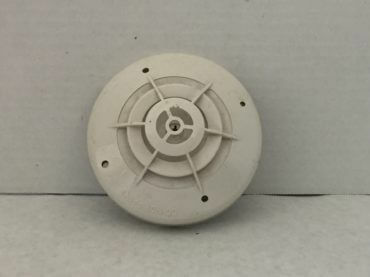 It is the same horn found on the Simplex 2901-9838. 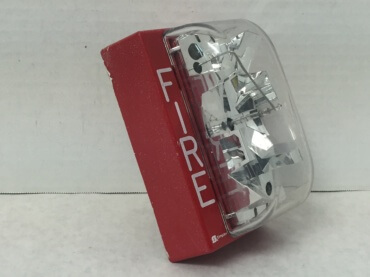 I believe the “E” appendage on the end of the model number means it is a sync-strobe. 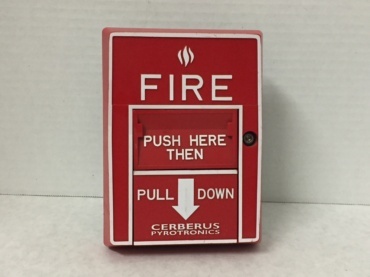 This pull station is also known as the “Chevron.” It is close in appearance to the Siemens MS1-B6F. 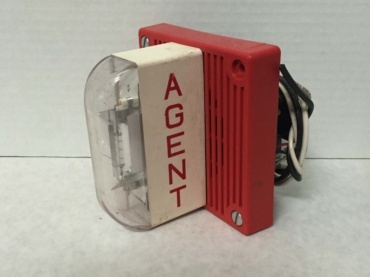 This is like the Wheelock MT-24-LSM, except it is rebranded by Fenwal and has “AGENT” labeling. 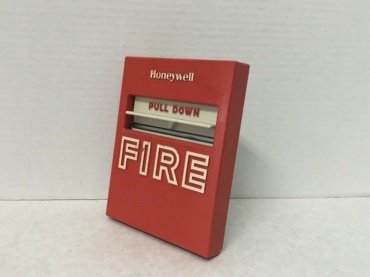 This particular unit is lacking a base. 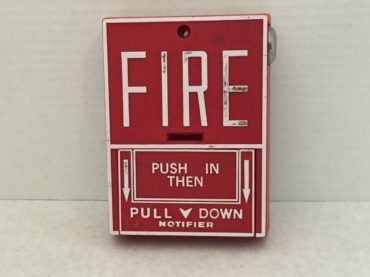 This is a pretty rare addressable rebrand of the BG-12 series pulls. 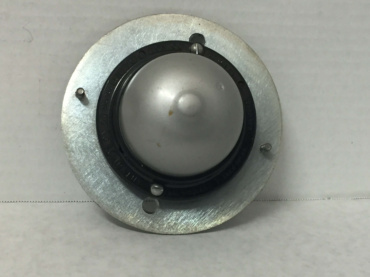 This horn/strobe, which is made by Space Age Electronics, is meant as a replacement for their older AV32-series strobe plates. 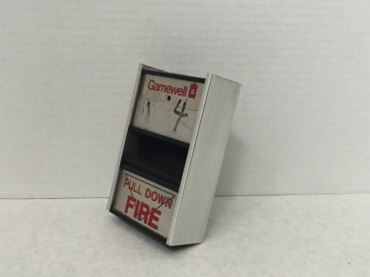 This is a somewhat obscure Gamewell alarm condition light, most likely used with system components such as duct detectors. 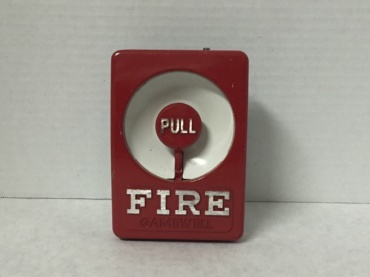 This pull station is also known as the “Century,” “Full Moon,” or “Bulls-eye.” It is a really nice pull. 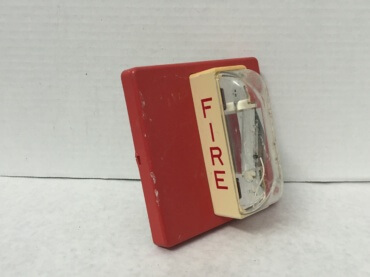 This one is clearly not in as nice of condition as my other M69. 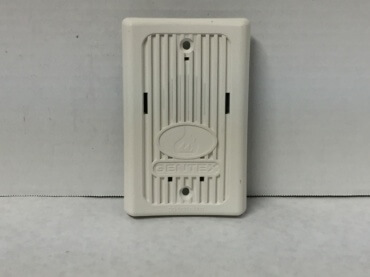 This is a Gentex Commander 4, which is intended for ceiling-mount applications. 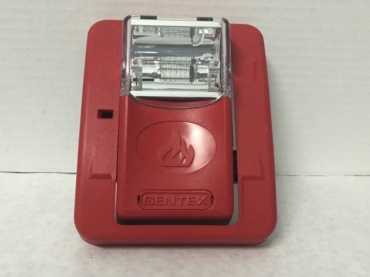 This is the older version of the Gentex GX90s-4-15/75WR with the non-ADA strobe. 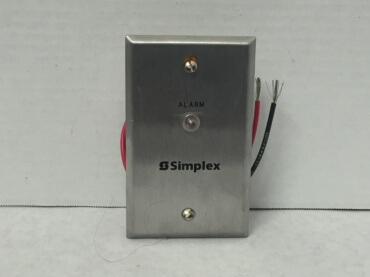 This alarm is the “updated” version of the Gentex GX90 (Simplex GX90-4R) series. 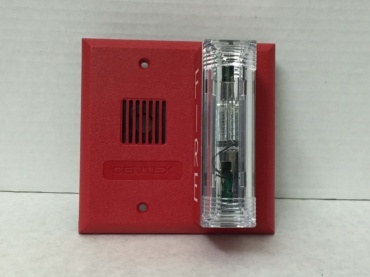 This alarm uses the same strobe as other Gentex alarms such as the Gentex GX90S-4-15/75WR and Gentex GOS-24-110WR. 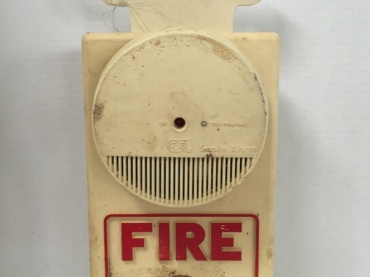 The previous owner of this alarm “modified” the wire leads coming out of the back. 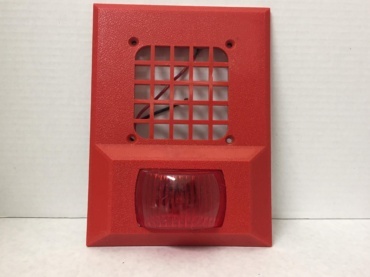 I also have the red version of this strobe. 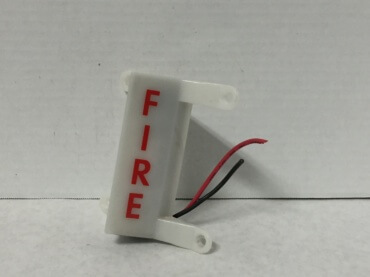 This is from the original Commander series. 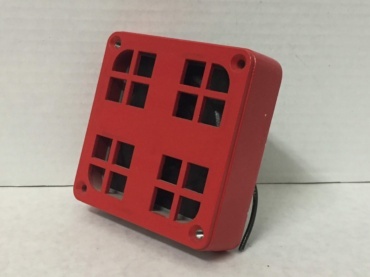 I am missing its mounting plate. 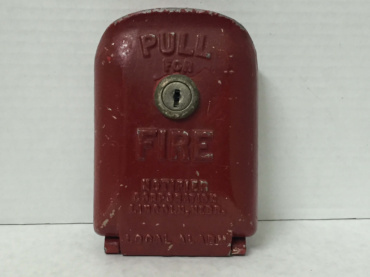 This SHG is in pretty good condition. 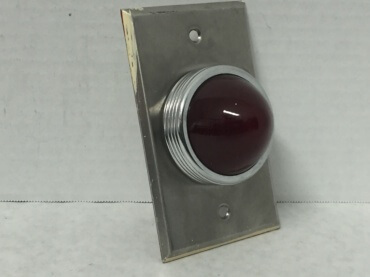 If I remember correctly, this SHG can code itself to march time. 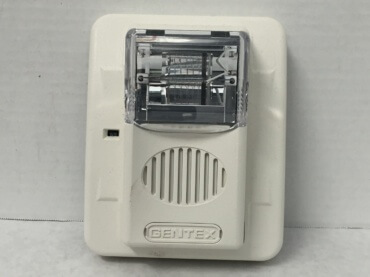 This is an original Gentex Commander remote strobe. 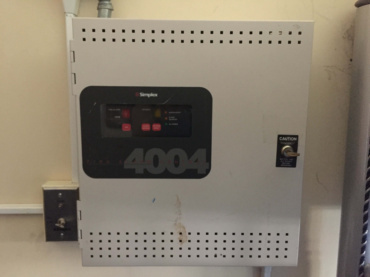 This unit was taken off of a TFX-400 system at Brigham Young University. 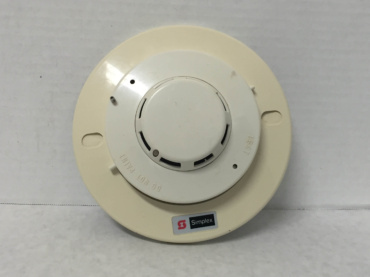 Just like the rest of my Grinnell equipment, this smoke detector is from Brigham Young University. 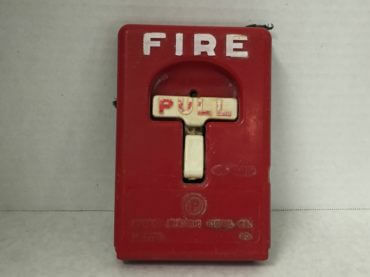 It took me a long time to track down this pull’s key. 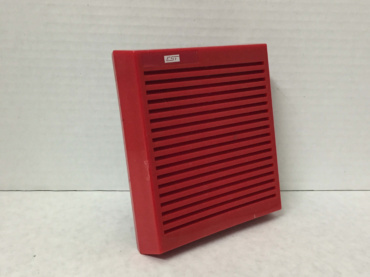 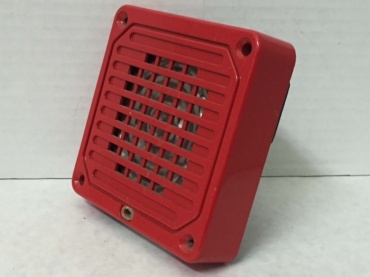 This type of speaker has been re-branded by many other companies, such as Simplex. 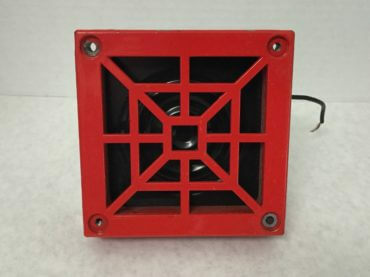 This horn operates on 12 VAC. 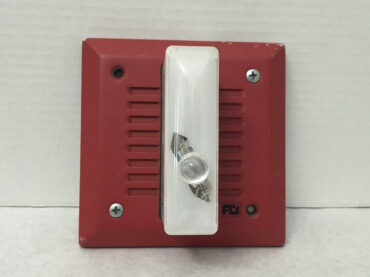 This pull station opens with a FCI key. 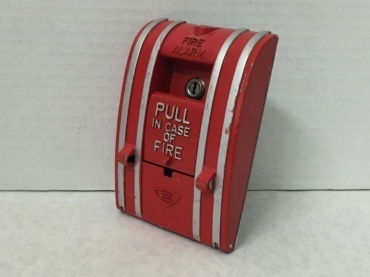 A lot of the paint on this pull station has chipped off, but is still works fine. 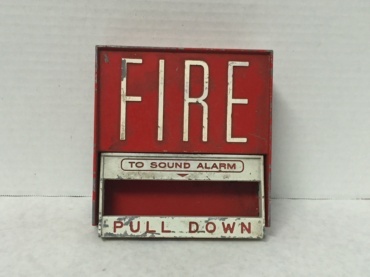 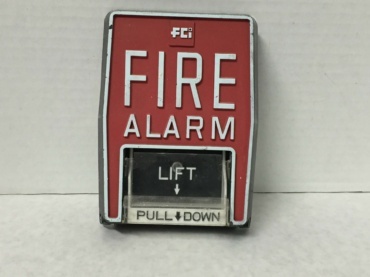 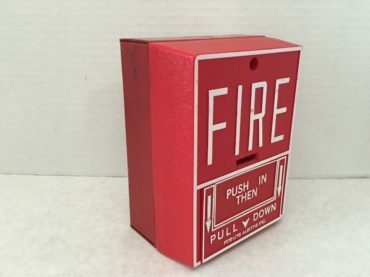 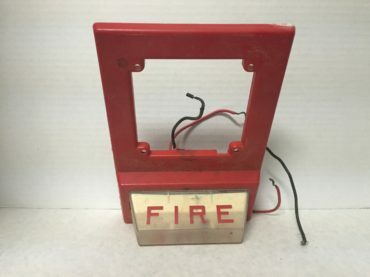 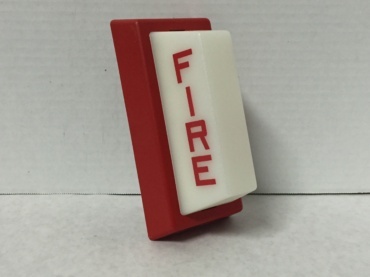 This is not actually a fire alarm device, but I decided to put it up regardless. 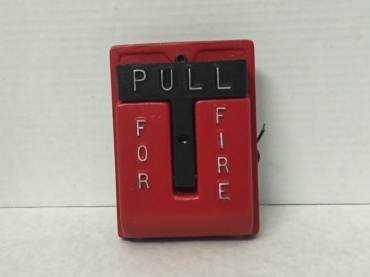 This pull has a similar appearance to the Fire-Lite BG5. 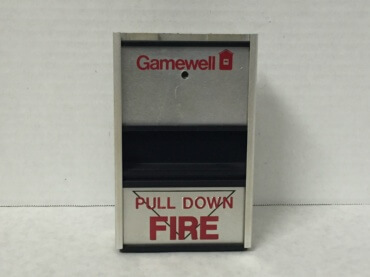 This same type of detector, which is manufactured by Apollo, is used by several other companies, such as Gamewell-FCI. 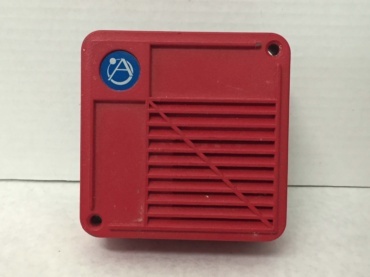 This device is manufactured by Apollo. 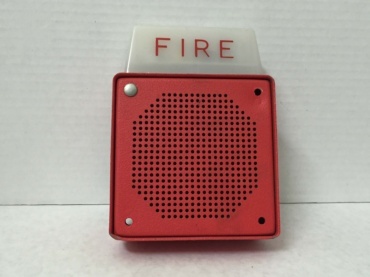 A somewhat rare example of Notifier rebranding Wheelock products. 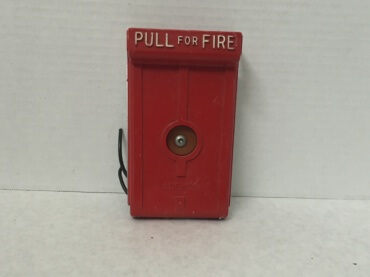 This pull station is an older version of the BNG-1. 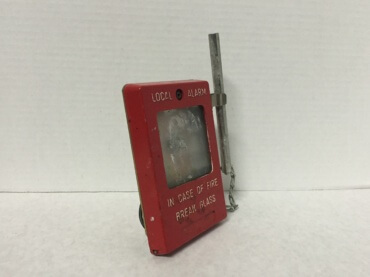 This unit’s physical condition is somewhat decent, but it is missing its switch unfortunately. 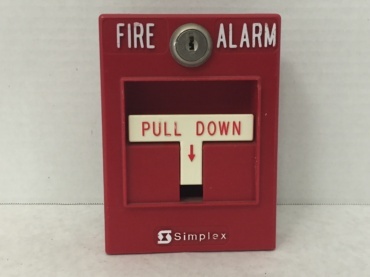 This pull actually opens with a “B” key, the key most commonly used by Simplex. 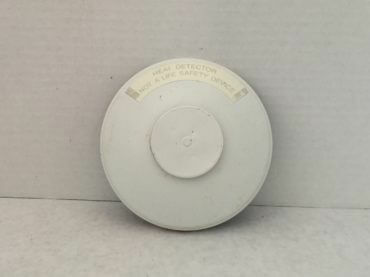 This is an ionization smoke detector. 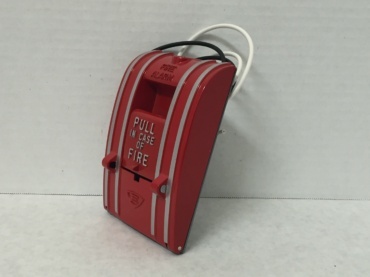 This pull station is really just a plastic, dual action Notifier BNG-1. 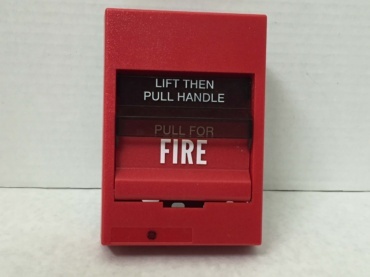 This pull station is addressable. 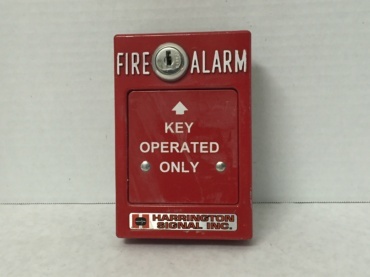 It opens with a Notifier 17021 key. 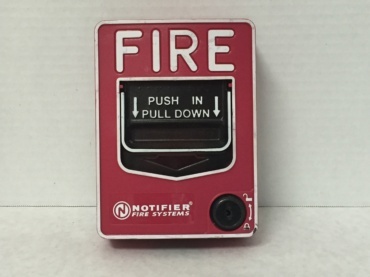 Unlike my other two Notifier NBG-12LX’s, this one has a module in it. 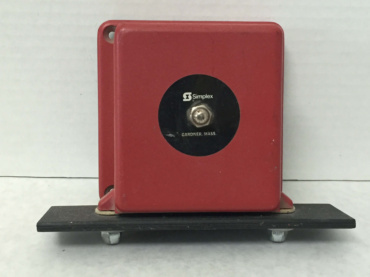 This is an extremely rare strobe that Notifier produced when they were owned by Emhart. 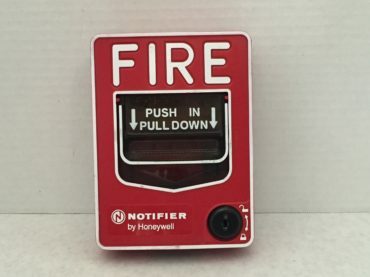 Another rare Notifier rebranding of a product typically not associated with Notifier. 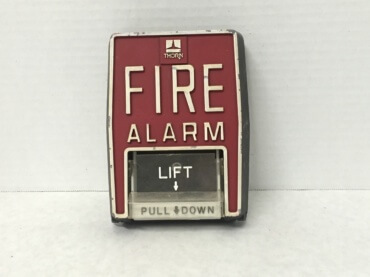 This could be considered a somewhat rare alarm. 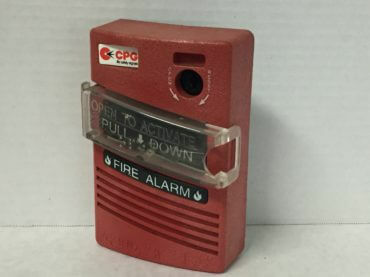 This is the single-action version of the Pyrotronics MS-501. 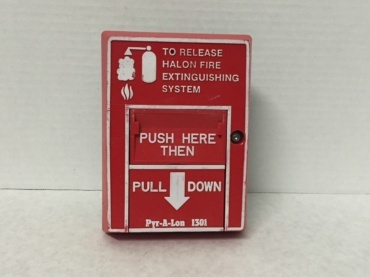 This pull station opens with a hex key. 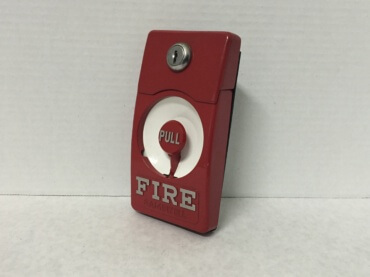 This odd pull station uses a Mircom key to open. 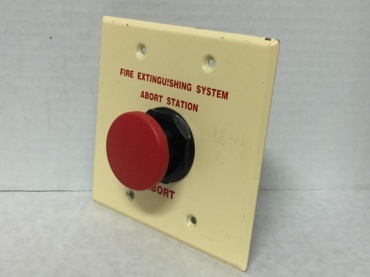 This device is simply a button, nothing very elaborate. 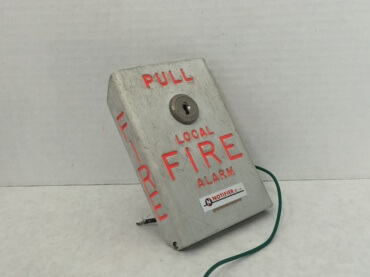 The candelas selector on this alarm is broken, so the strobe is stuck on 75 candelas. 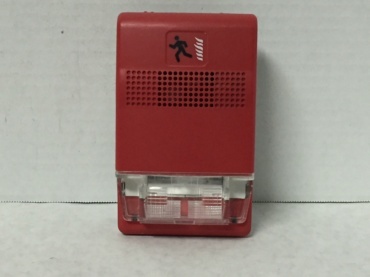 This remote strobe is essentially a red Siemens ZH-MC-W without the horn mechanism. 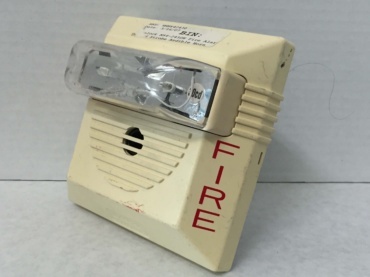 This remote strobe belongs to the same family of alarms that my Firecom FVA4-RC24D does. 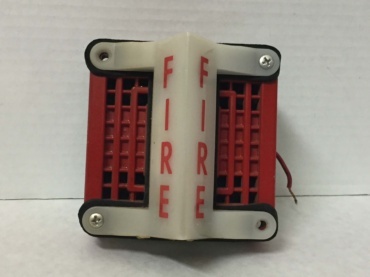 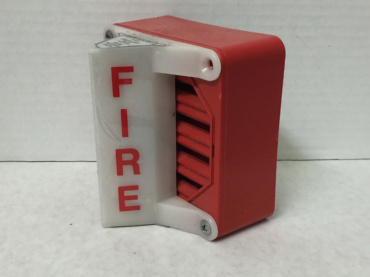 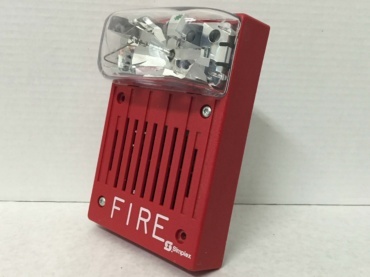 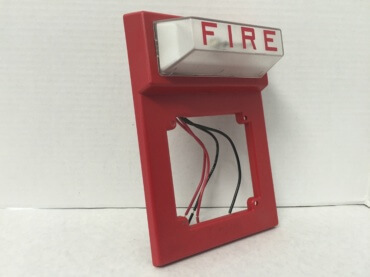 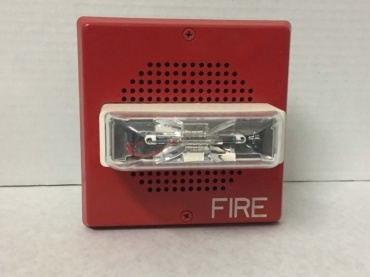 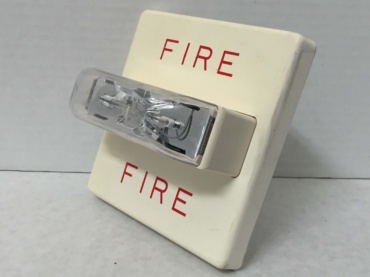 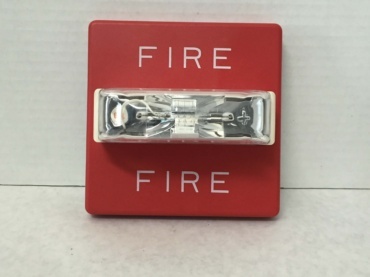 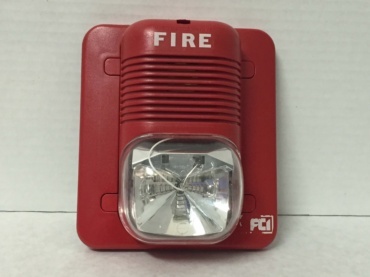 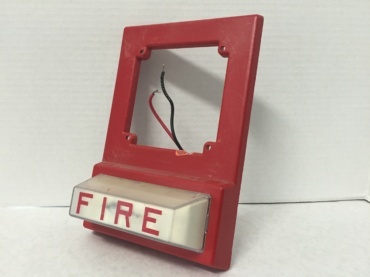 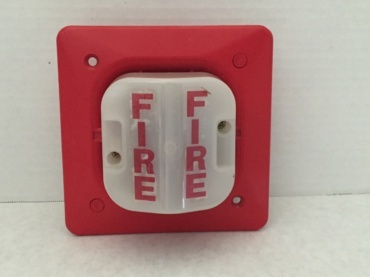 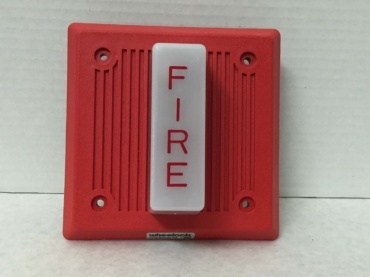 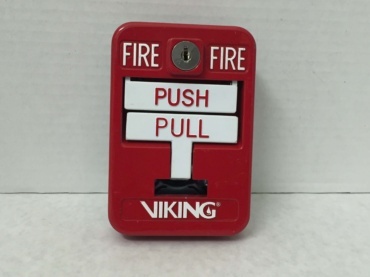 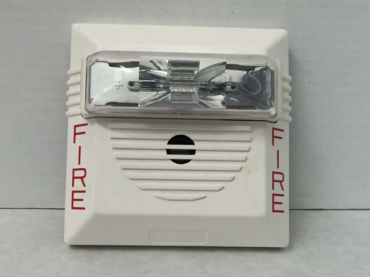 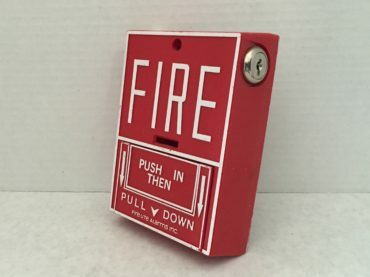 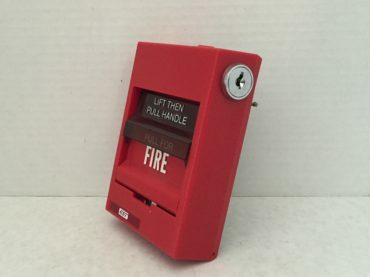 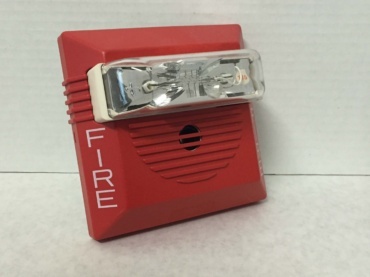 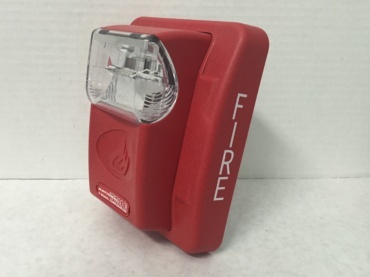 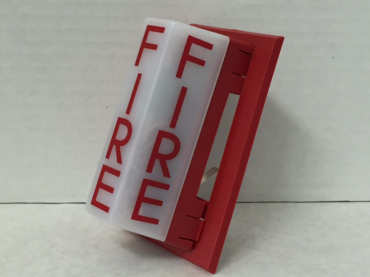 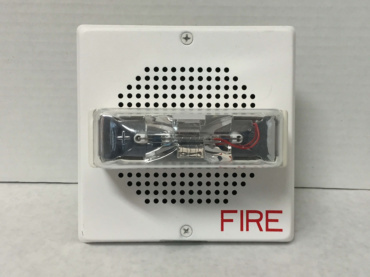 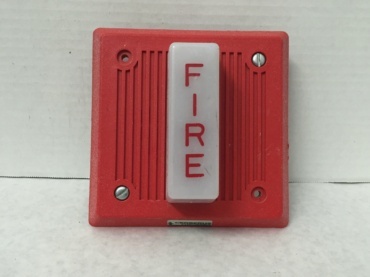 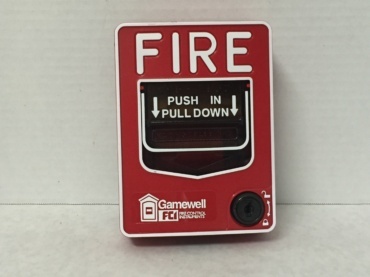 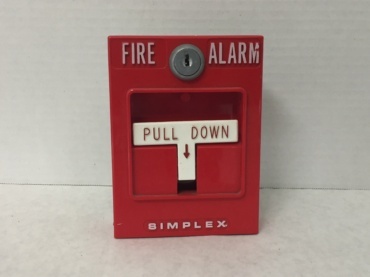 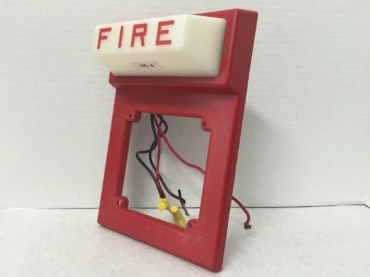 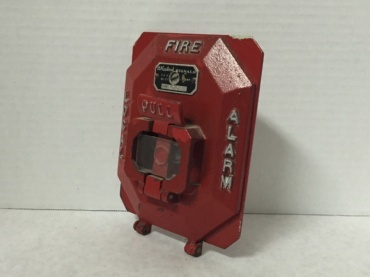 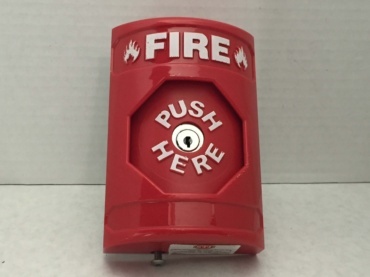 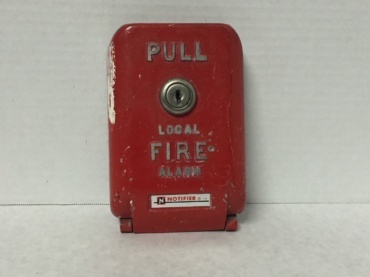 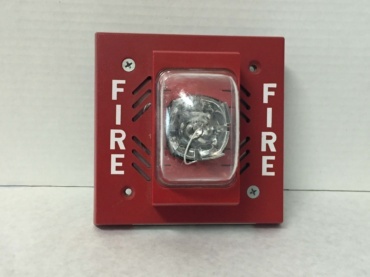 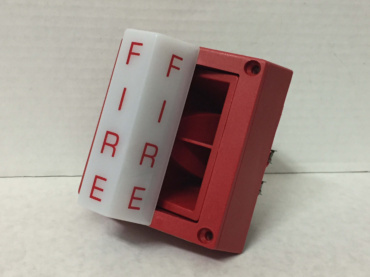 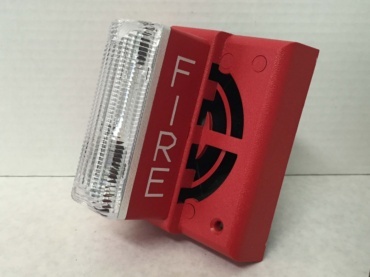 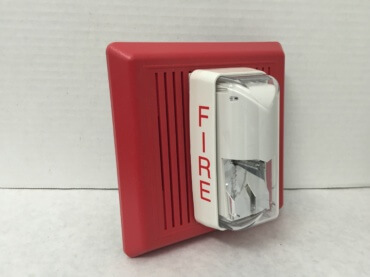 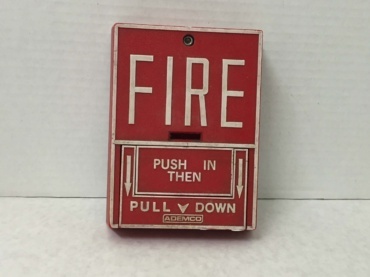 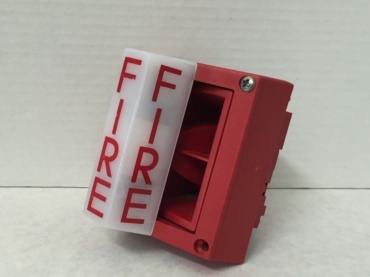 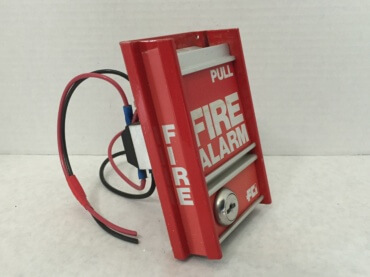 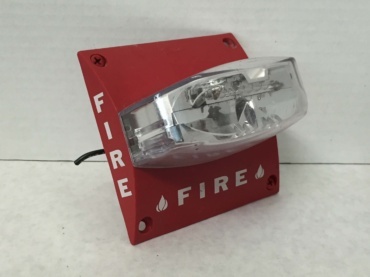 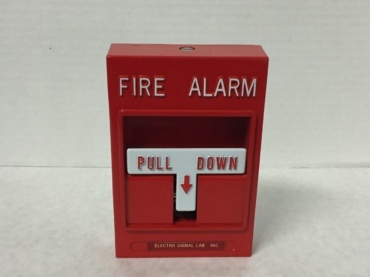 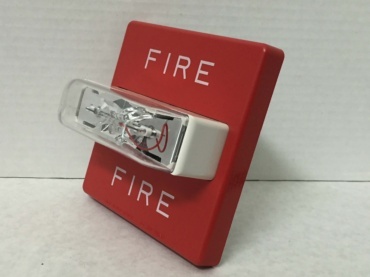 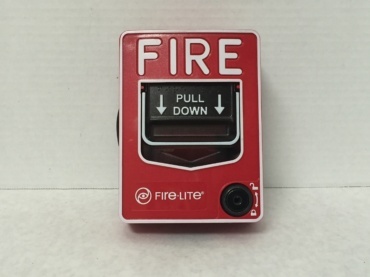 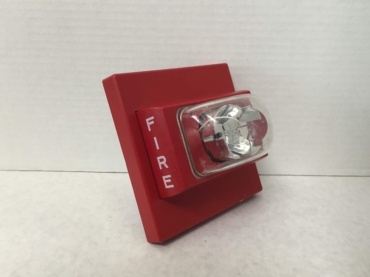 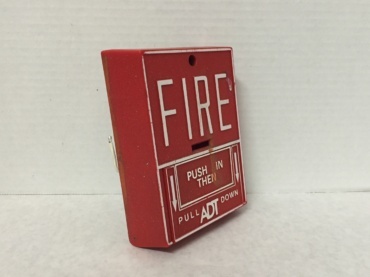 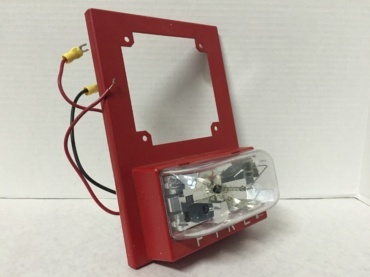 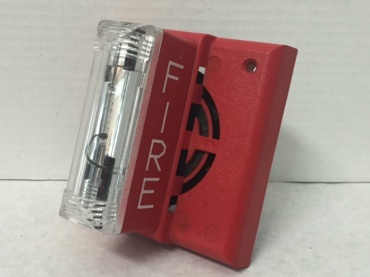 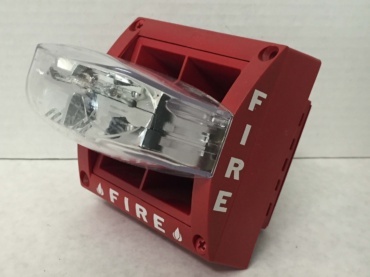 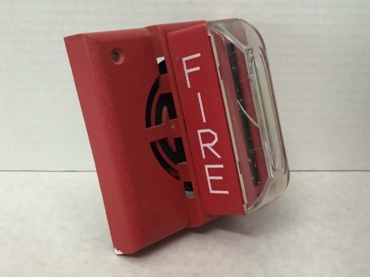 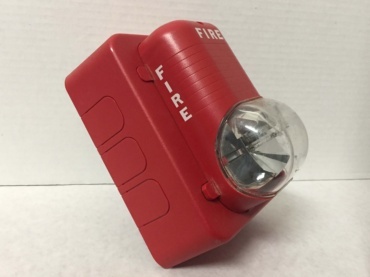 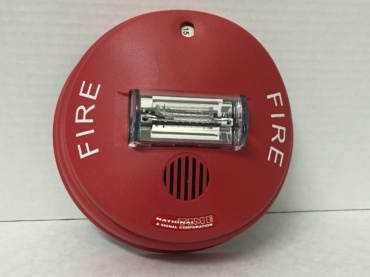 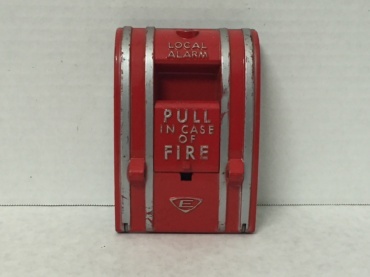 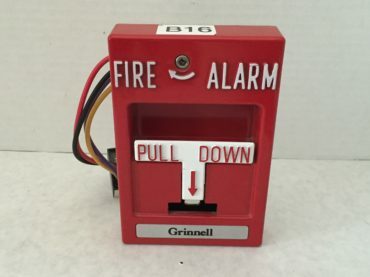 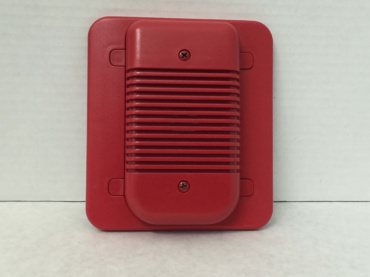 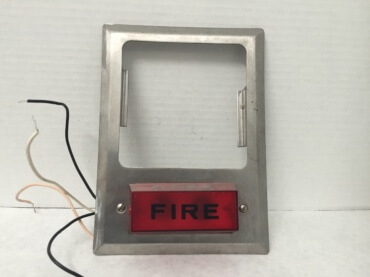 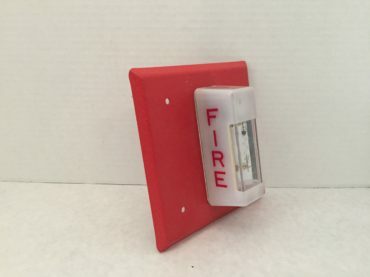 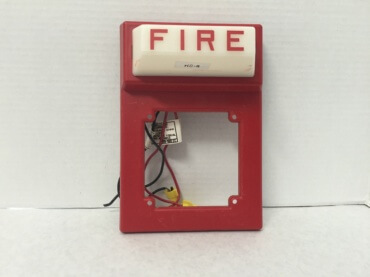 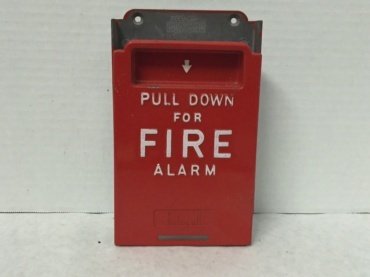 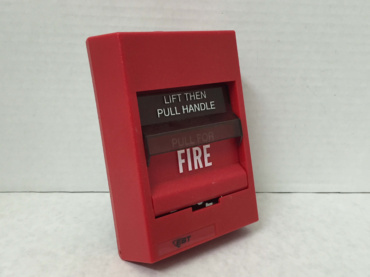 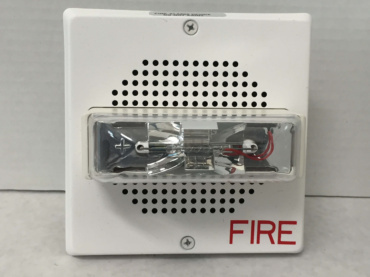 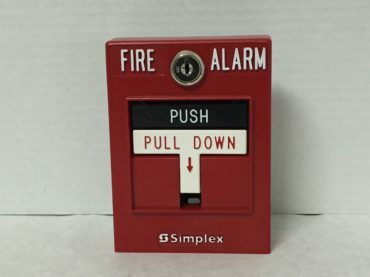 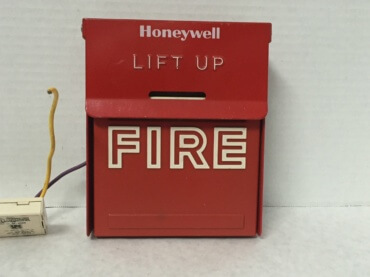 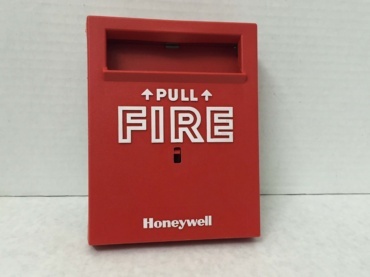 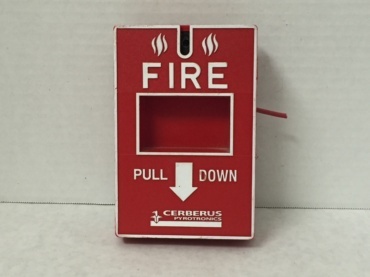 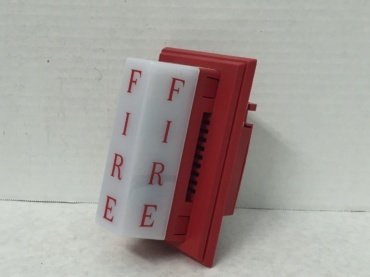 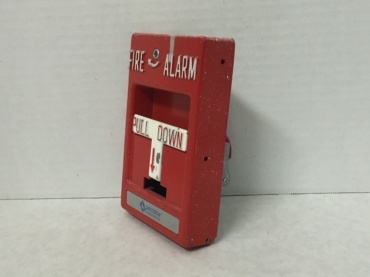 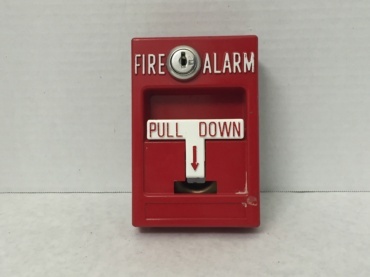 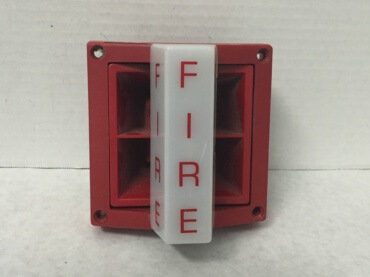 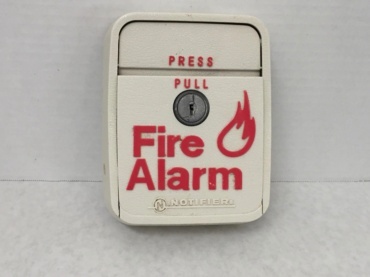 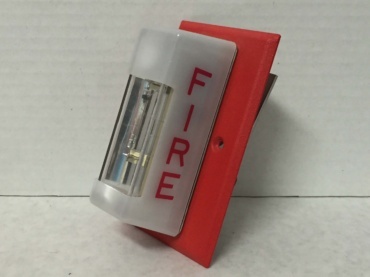 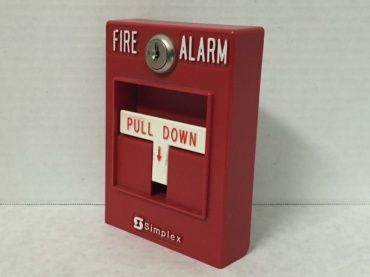 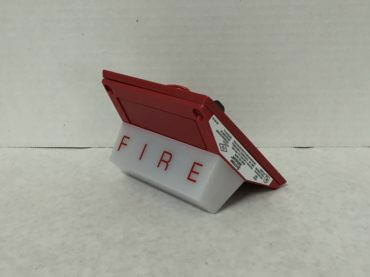 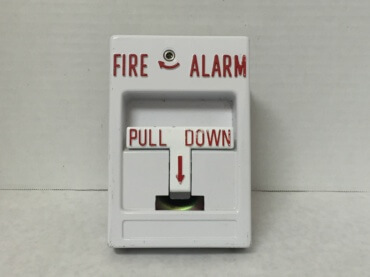 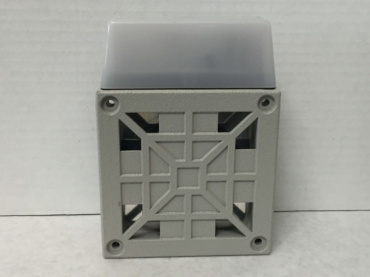 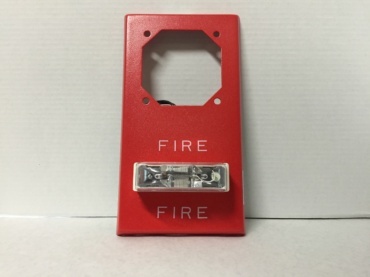 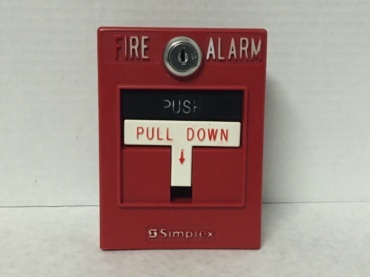 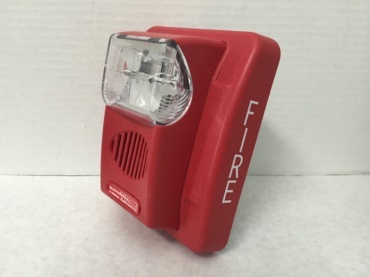 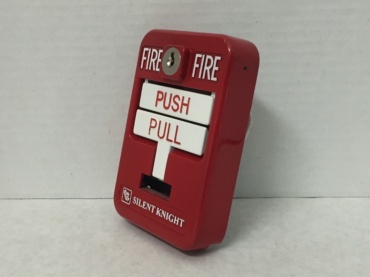 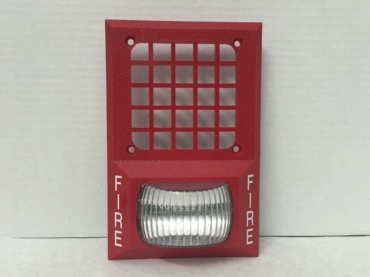 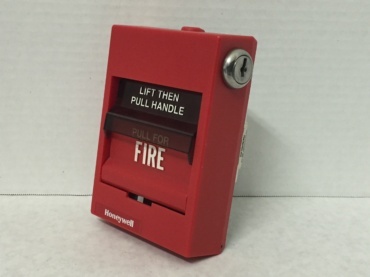 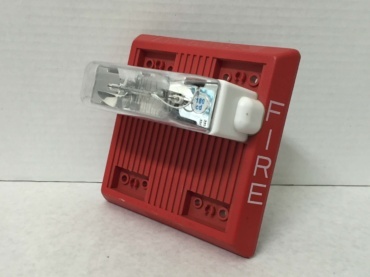 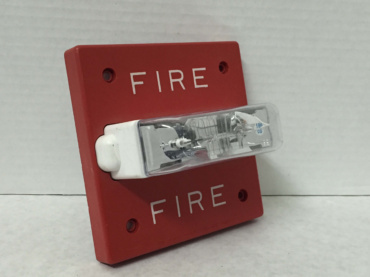 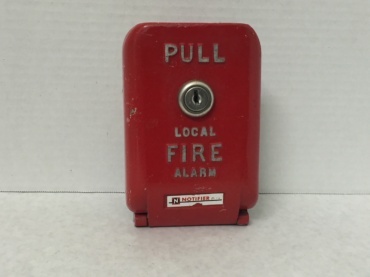 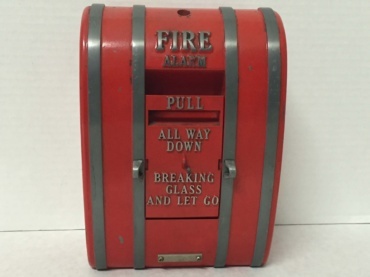 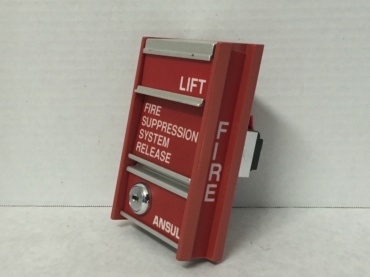 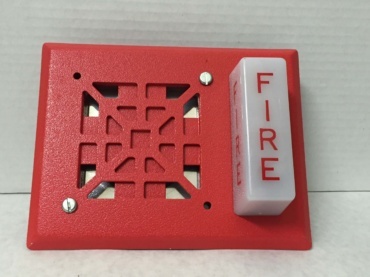 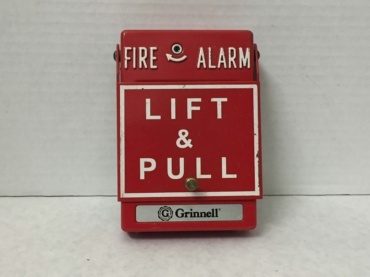 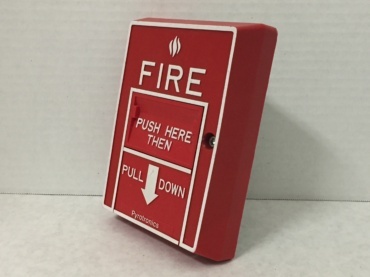 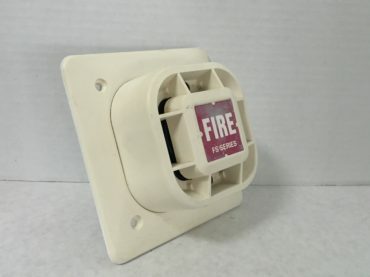 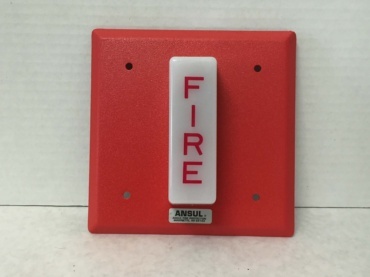 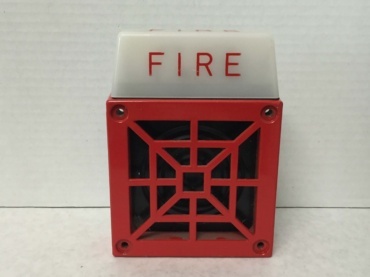 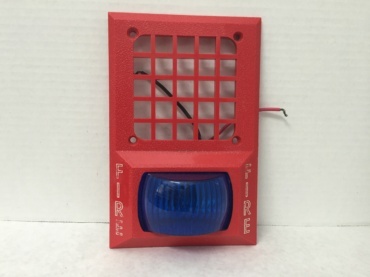 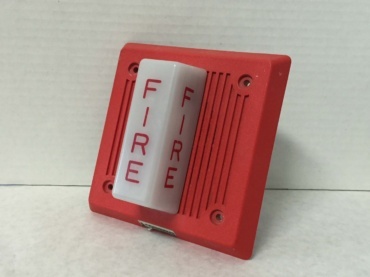 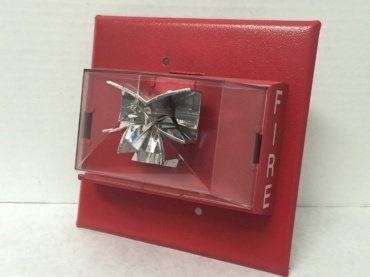 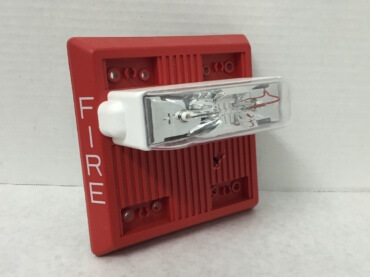 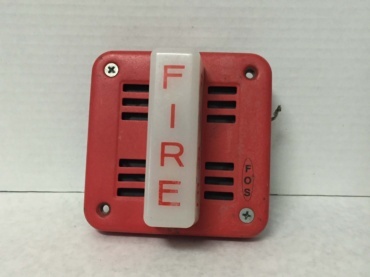 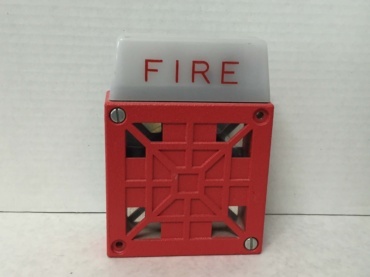 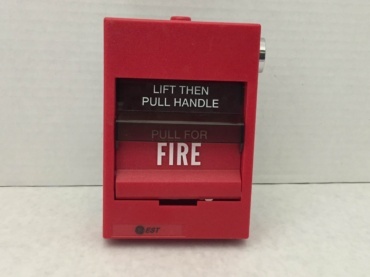 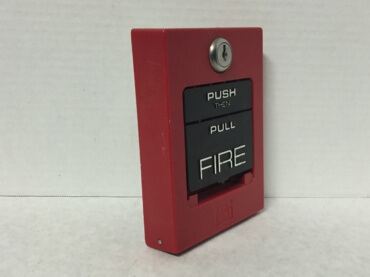 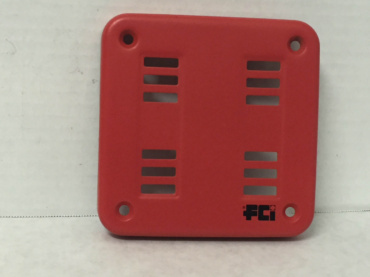 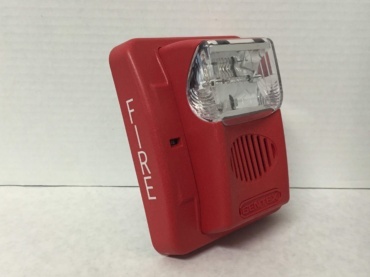 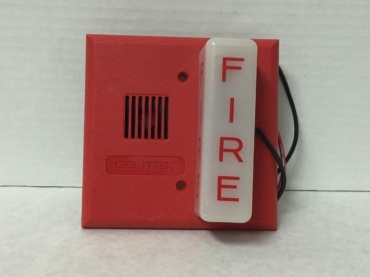 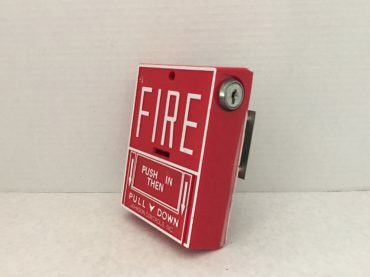 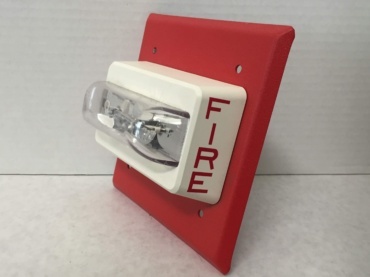 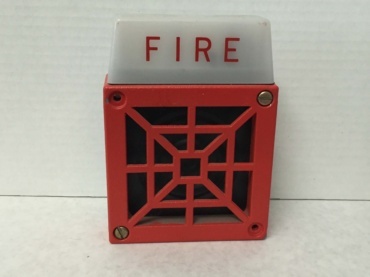 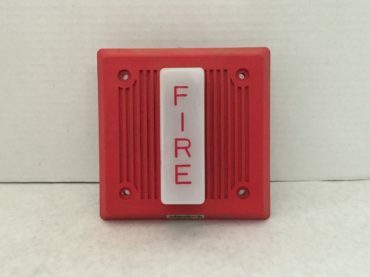 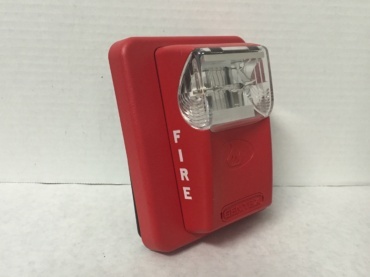 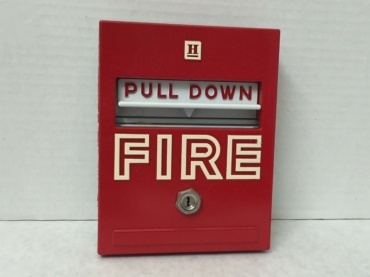 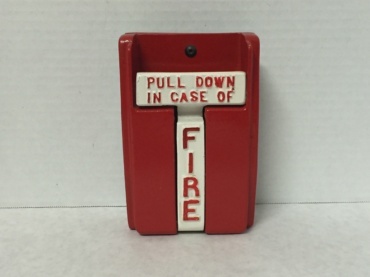 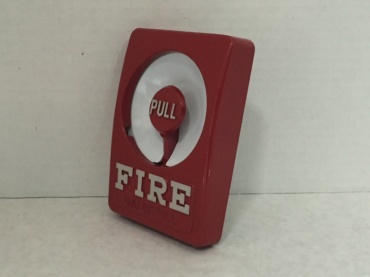 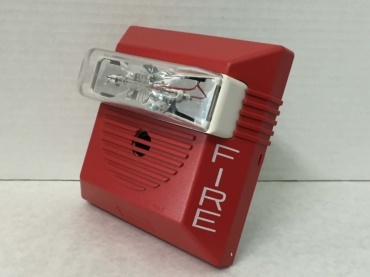 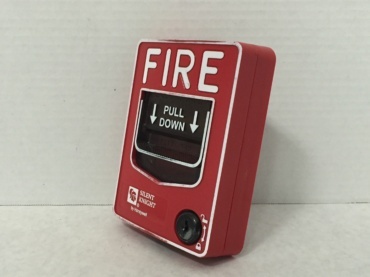 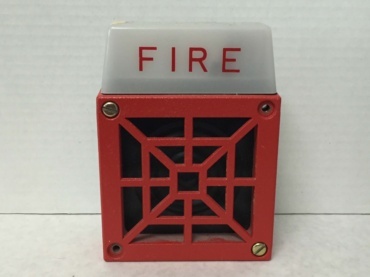 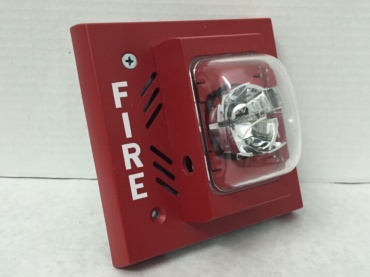 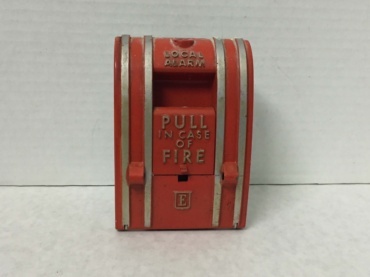 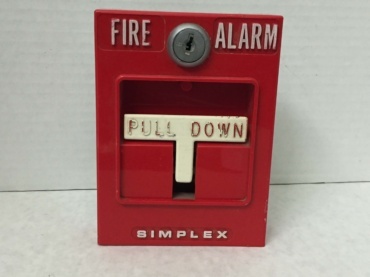 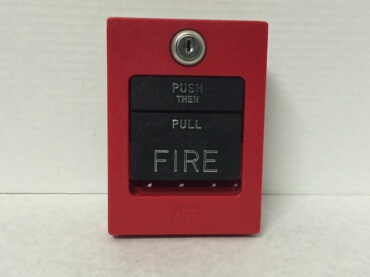 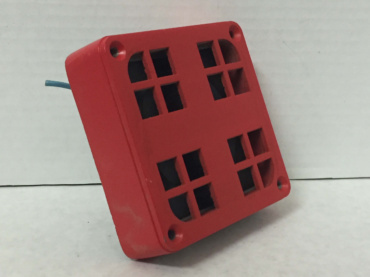 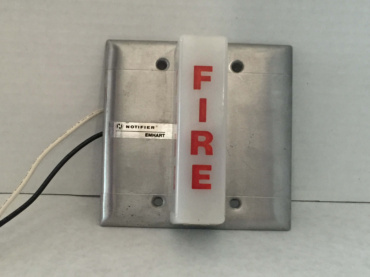 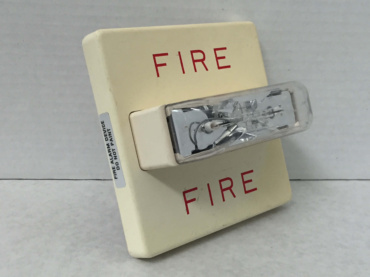 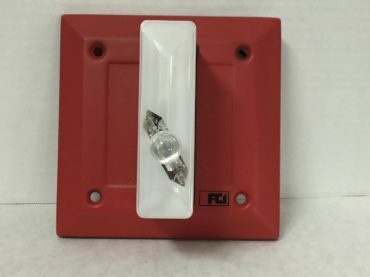 This pull station is the addressable, Silent Knight version of the Fire-Lite BG-12S. 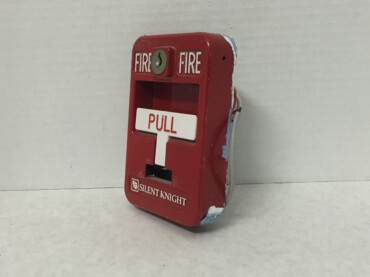 This pull station is just rebranded by Silent Knight. 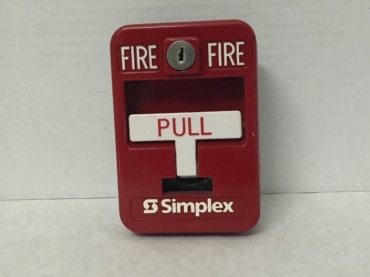 I also have the Simplex and Wheelock versions of this pull. 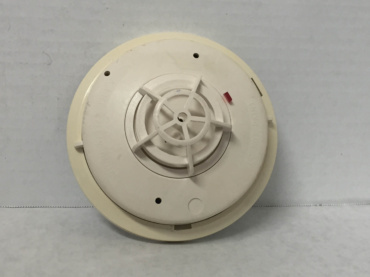 This smoke detector is conventional. 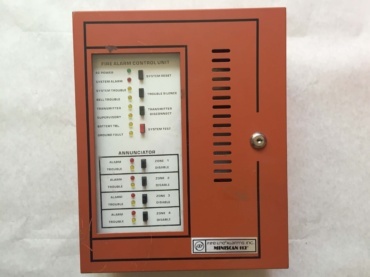 This panel was manufactured in the 1980’s. 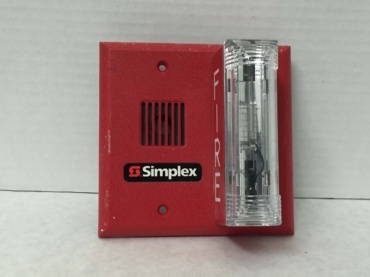 Compared to other Simplex 2001’s, this one is relatively small. 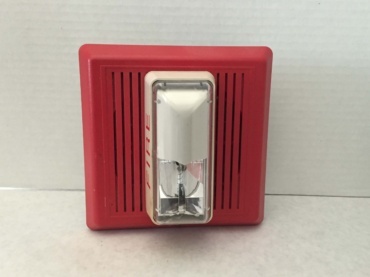 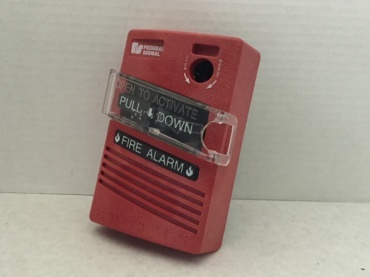 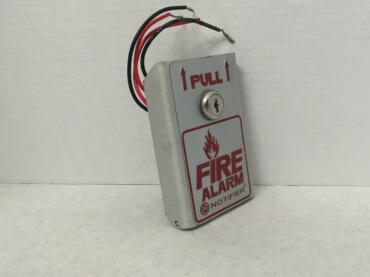 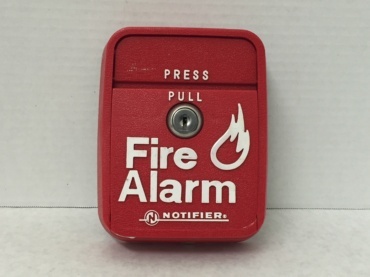 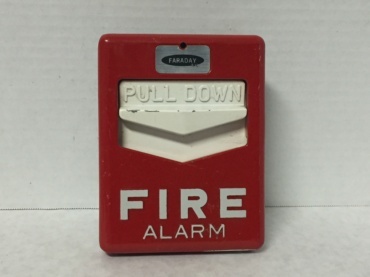 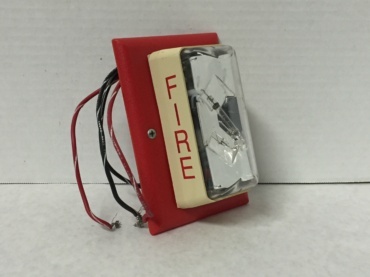 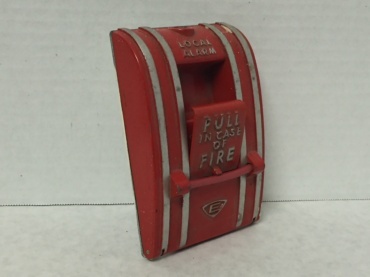 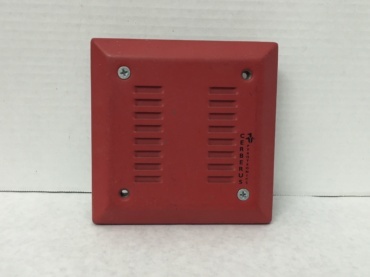 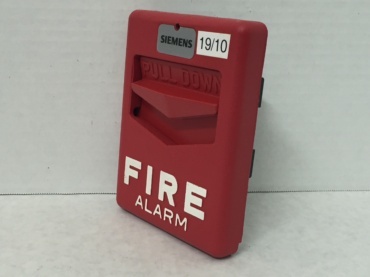 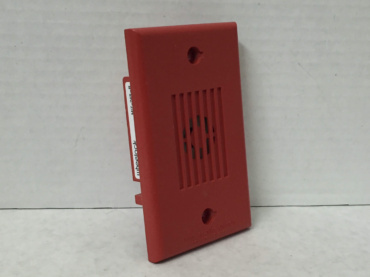 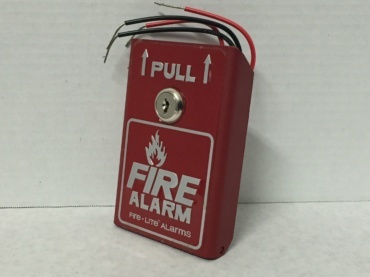 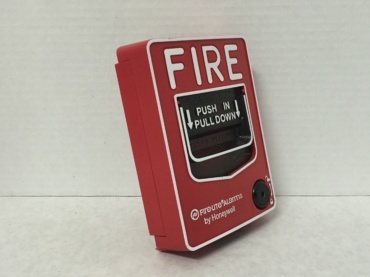 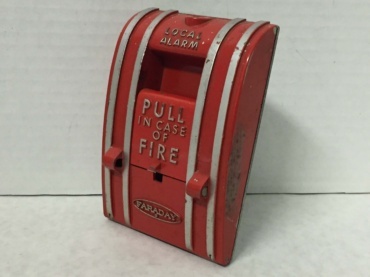 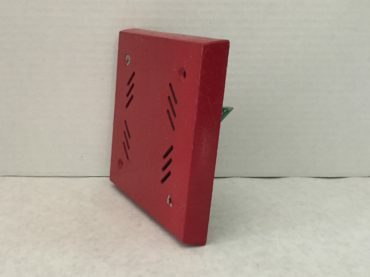 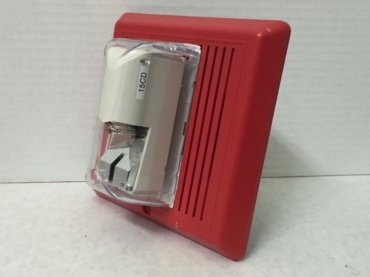 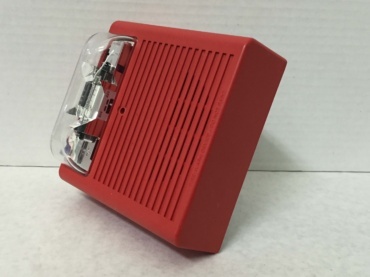 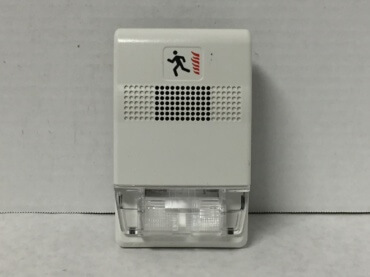 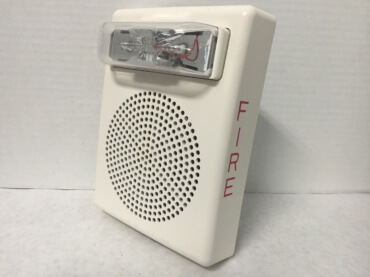 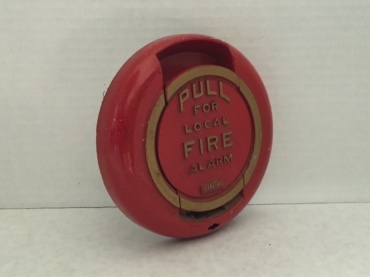 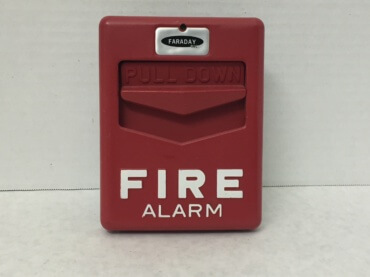 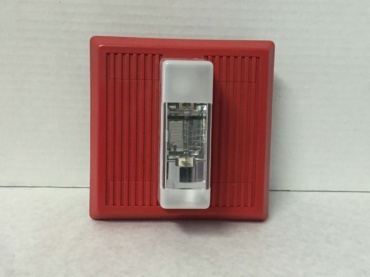 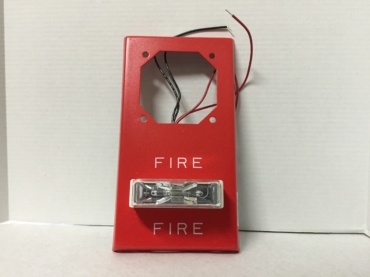 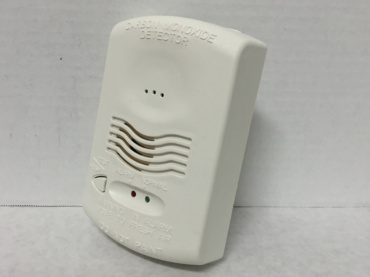 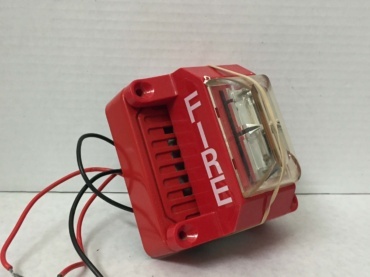 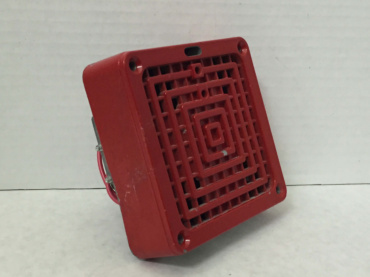 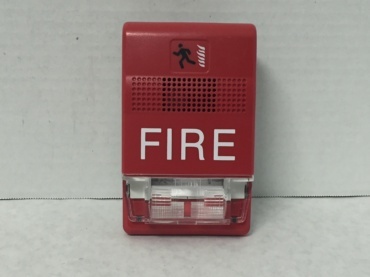 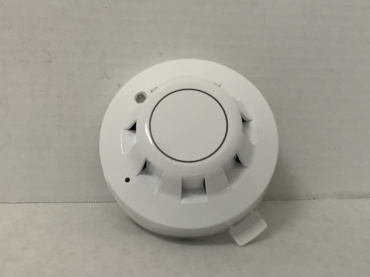 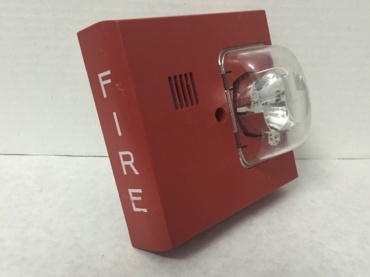 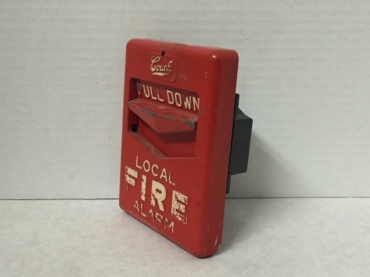 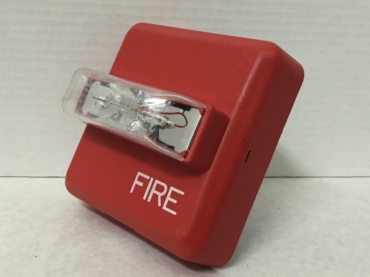 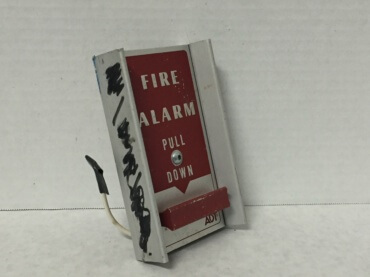 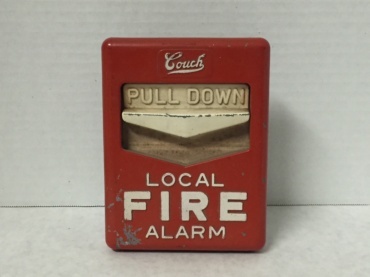 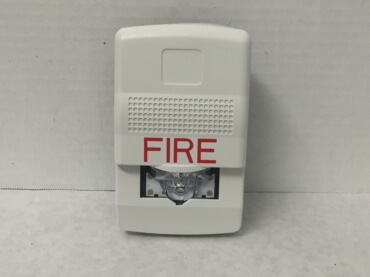 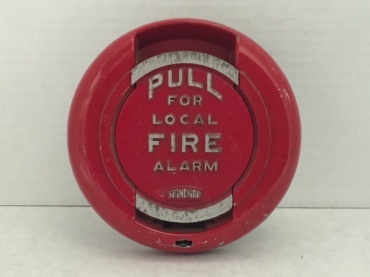 This is a “TrueAlarm” series detector. 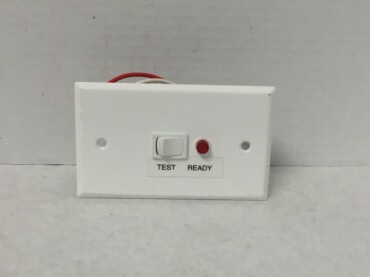 It is tested with a magnet. 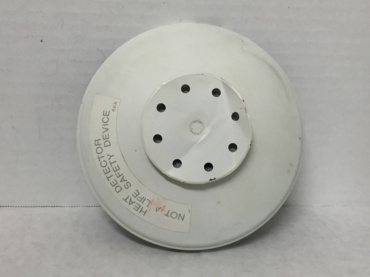 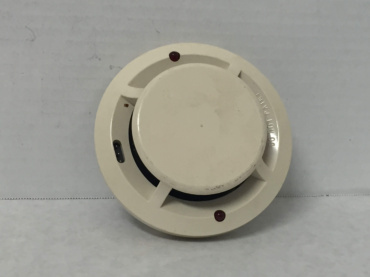 This is a photoelectric smoke detector. 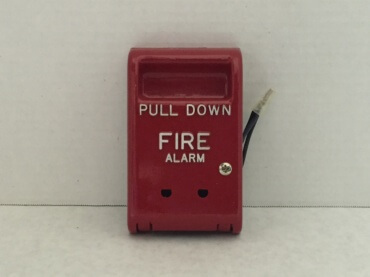 This is also known as the “wiffle-ball” detector. 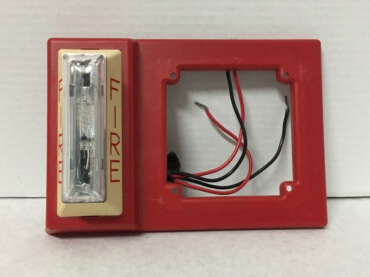 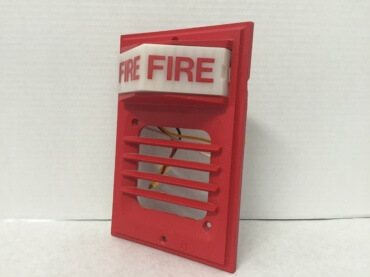 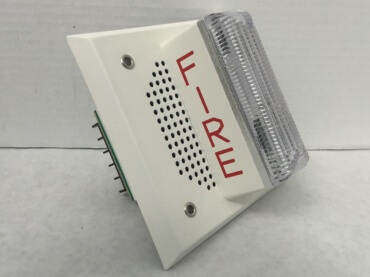 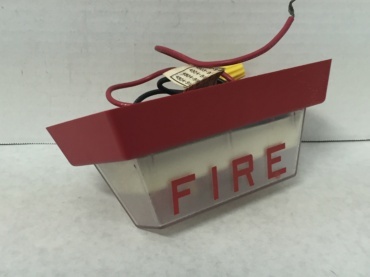 This is a combination of a smoke and heat detector. 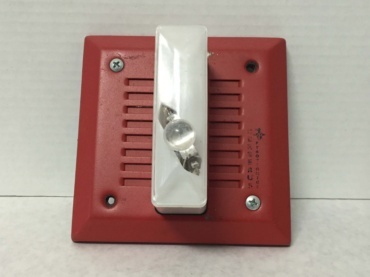 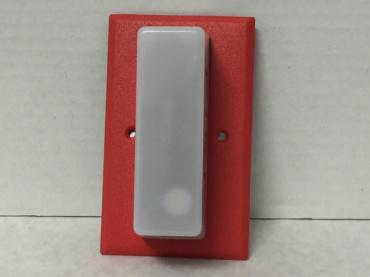 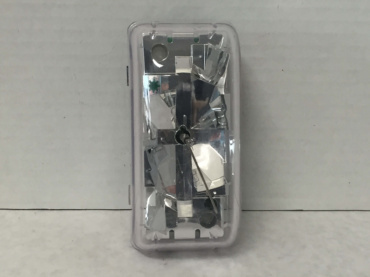 This key switch is similar to the Simplex 2098-9806, except it has the additional green LED. 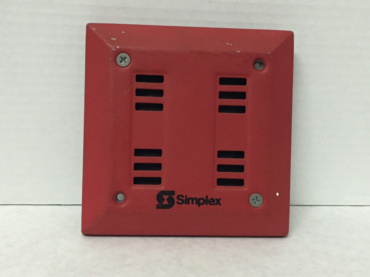 This is like the Simplex 2098-9806, but it doesn’t have a switch. 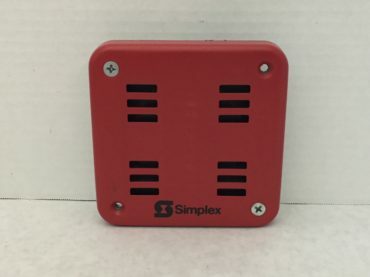 There is no difference between this unit and my other Simplex 2098-9806. 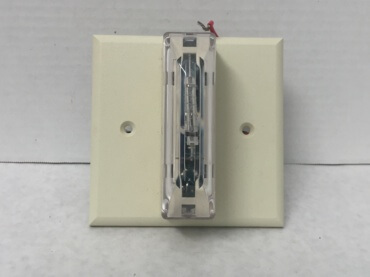 The terminal strip on the back of this pull is different than the one of my other Simplex 2099-9103. 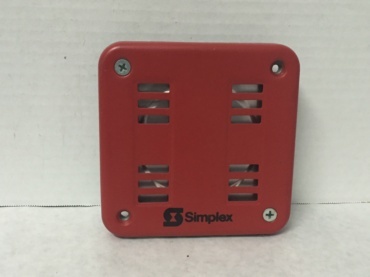 This is the updated version of the Simplex 4251-20. 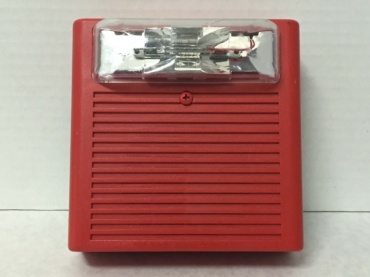 I have both the silver and red backed versions. 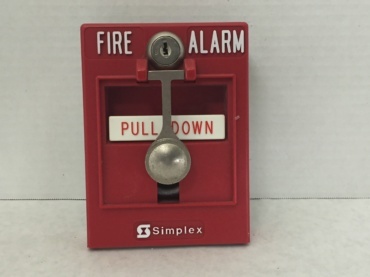 The back of this pull station is different than that of my other Simplex 2099-9754. The front of this pull station is a bit scuffed up. 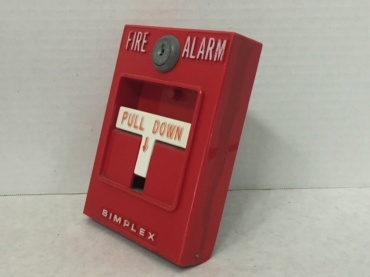 It is the dual-action version of the Simplex 2099-9754. 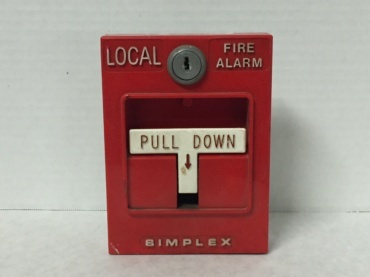 The switch and terminals on this pull station are different from those on the Simplex 2099-9756. 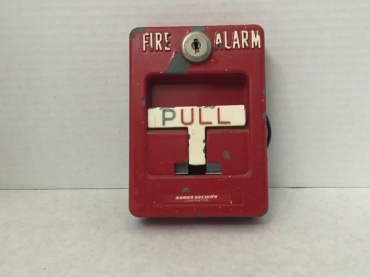 The addressable part of this pull station was removed by its previous owner. 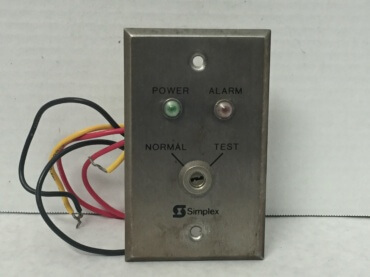 This is essentially the AC-powered version of the Simplex 2901-9833. 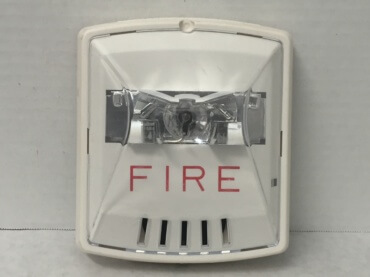 Strobes such as the ADT B3409-024 were designed to be used with this horn. 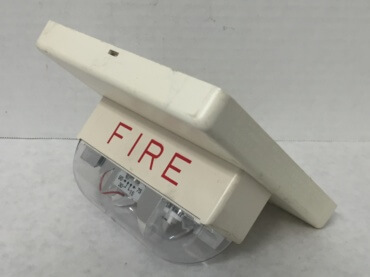 I have several of these horns because I’ve had several of them unexpectedly break on me. 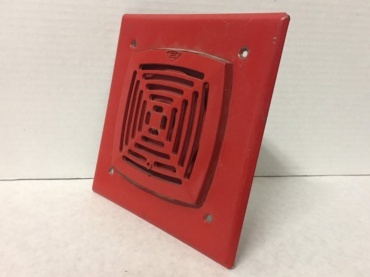 Same idea as the other 2901-9838 spare cover that I own. 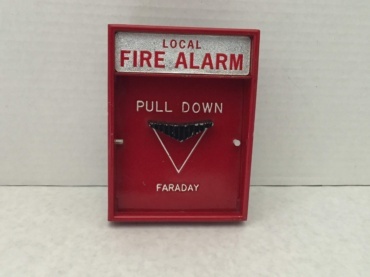 I’m not sure why I’ve held on to so many of these horns. 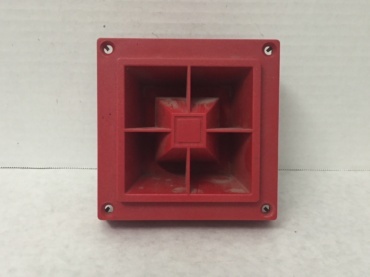 Besides its appearance, this horn is just like the more common Simplex 2901-9838. 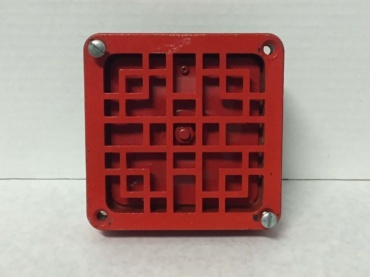 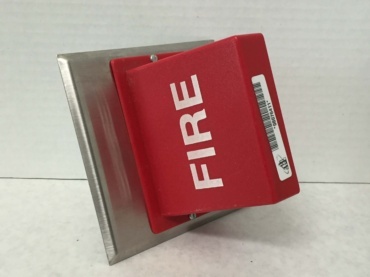 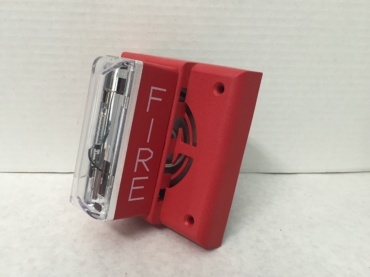 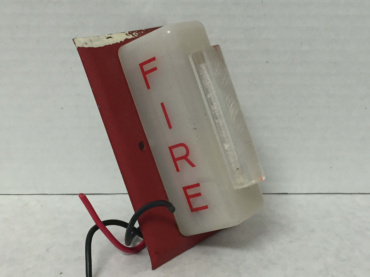 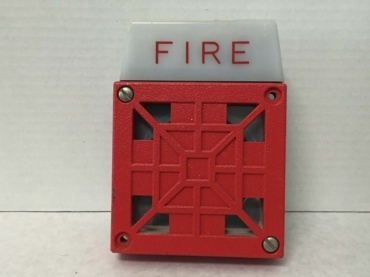 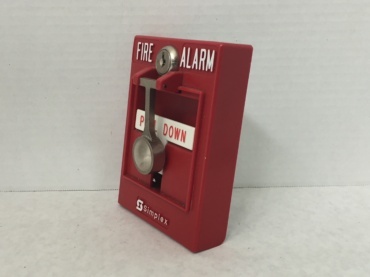 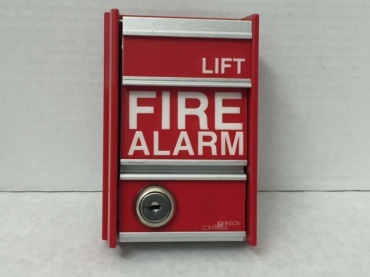 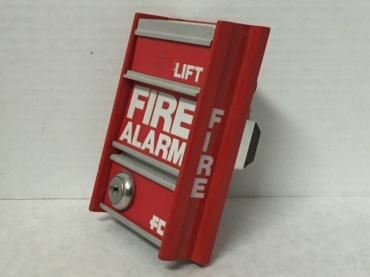 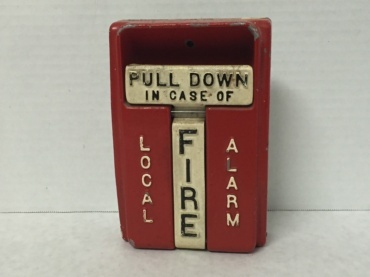 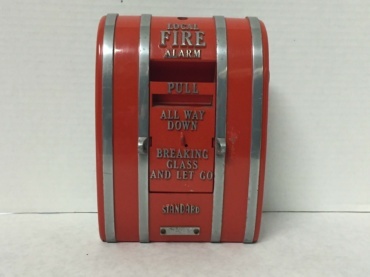 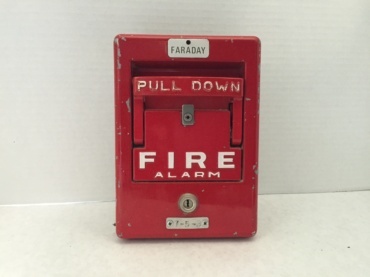 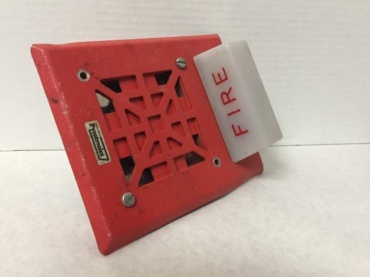 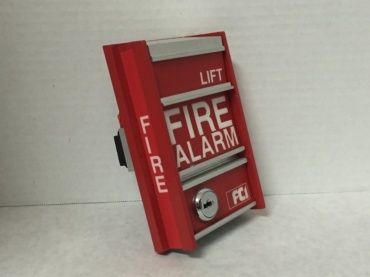 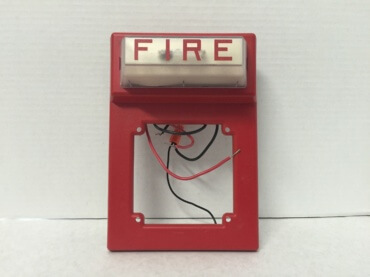 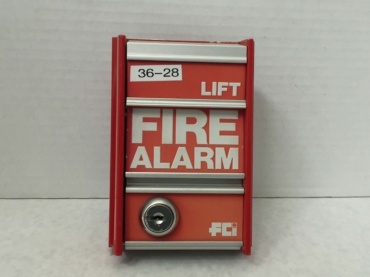 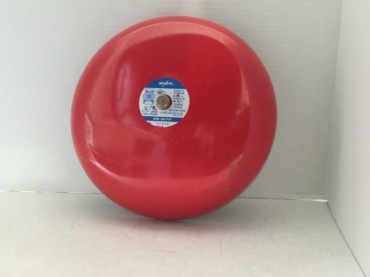 This is a chime that is specifically made for fire protection purposes. 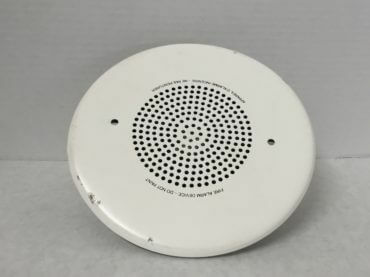 This speaker was manufactured for use in Canada. 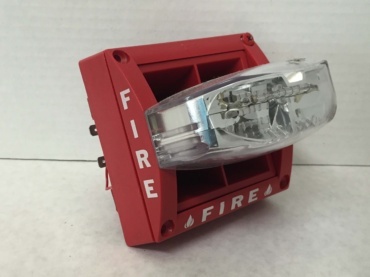 You can see what the horn and the light plate look like together in the last picture. 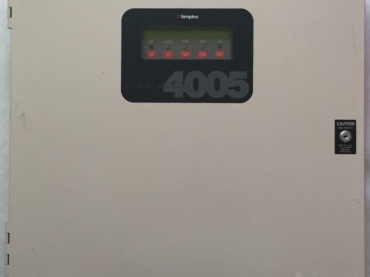 135F fixed temp. 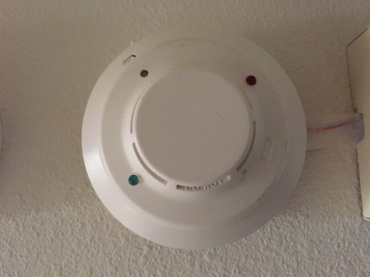 and rate of rise detection. 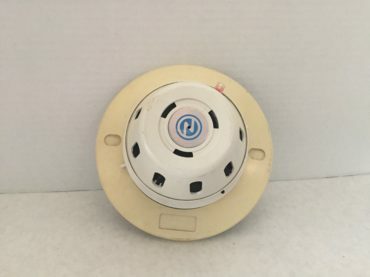 I currently do not have base for this smoke detector. 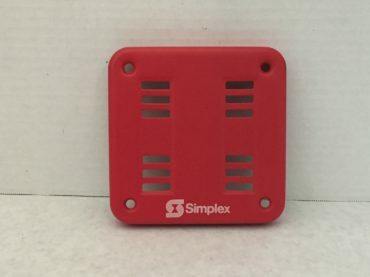 It is similar to the Simplex 4098-9714. 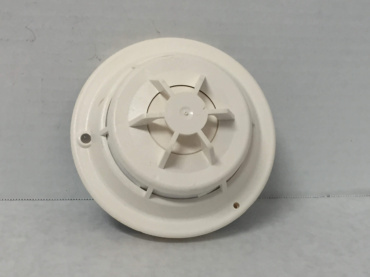 I currently do not have base for this smoke detector. 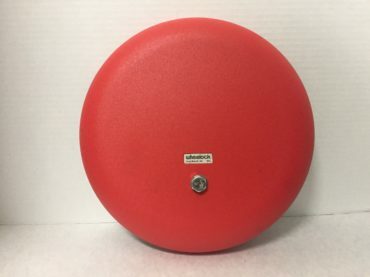 I don’t think that I have a base that is compatible with this head. 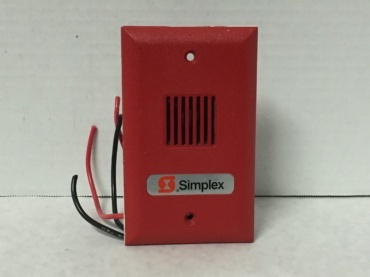 The LED on this unit uses 14VDC rather than the 24VDC used by the Simplex 2098-9806. 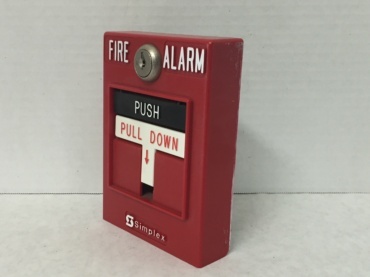 I bought this NIB pull specifically for use with my Simplex 4010. 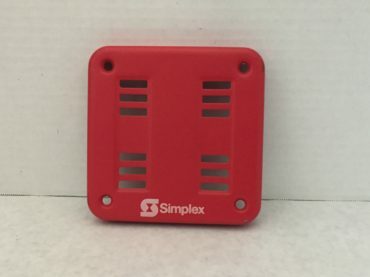 This was the original Simplex Tbar. 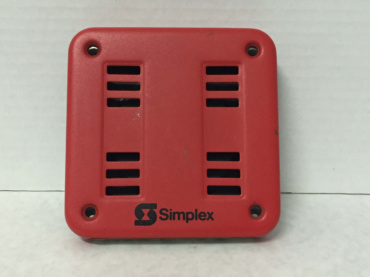 The Simplex 2099-9754 is the updated version of it. 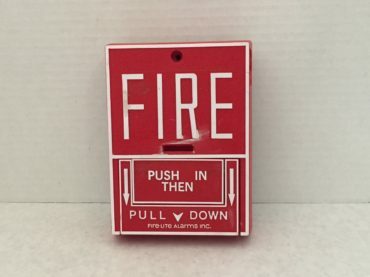 Not quite sure how this pull differs from the 4251-20, actually. 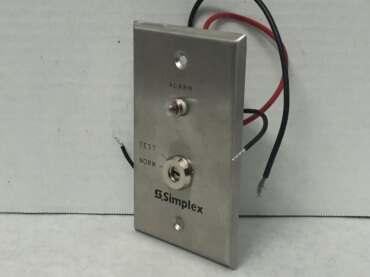 This is the “Local Alarm” variant of the Simplex 4251-21. 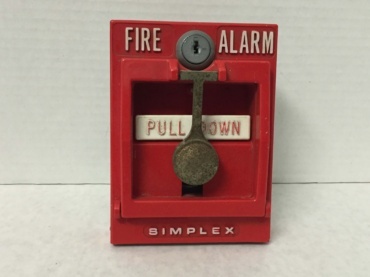 This was the original Simplex Break-Glass Simplex Tbar. 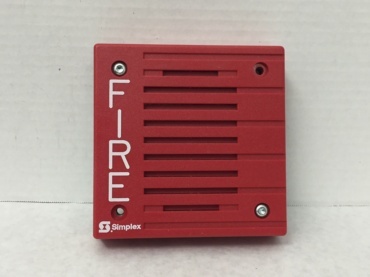 The Simplex 2099-9103 is the updated version of it. 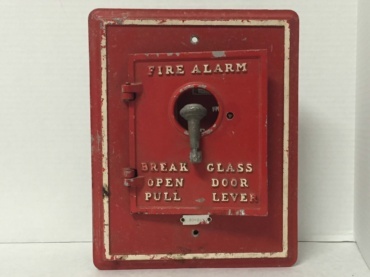 The glass breaking handle on this station is getting pretty rusted. 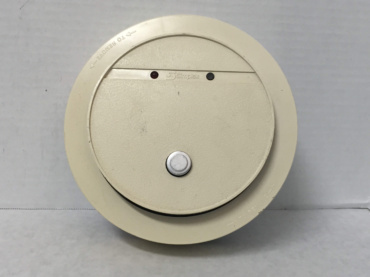 This is a moderately old heat detector. 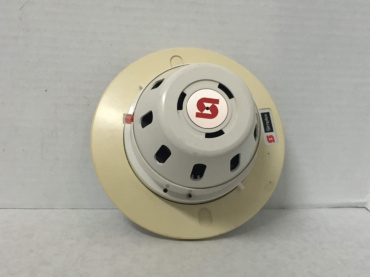 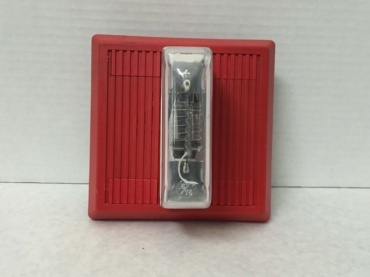 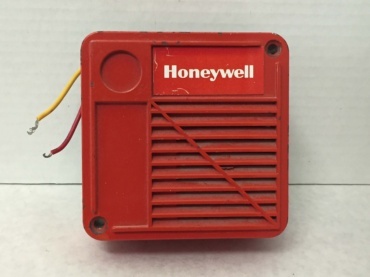 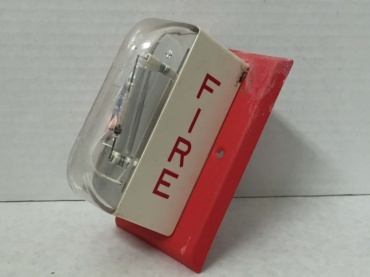 This is a photoelectric smoke detector from the mid to late 1970’s. 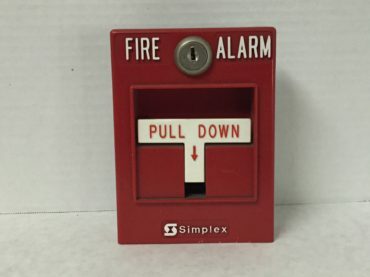 What code this pull station does currently escapes me. 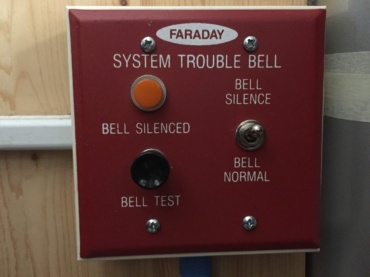 It is similar to my Faraday 10508A. 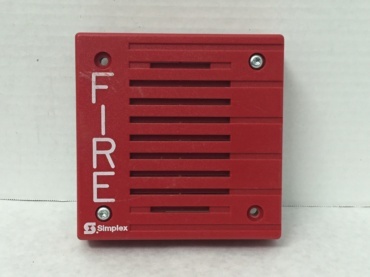 Oddly enough, the model number on this particular smoke doesn’t fit the typical pattern for Simplex devices. 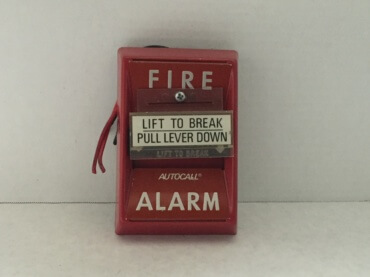 This particular alarm is actually capable of doing three different tones. 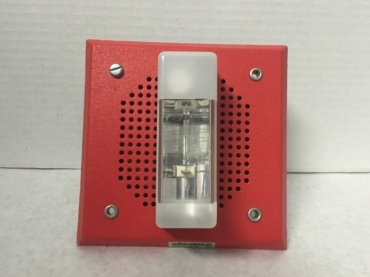 This is an electronic horn, not an electromechanical horn or a speaker. 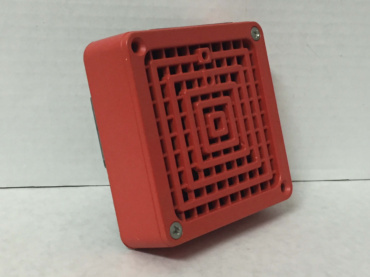 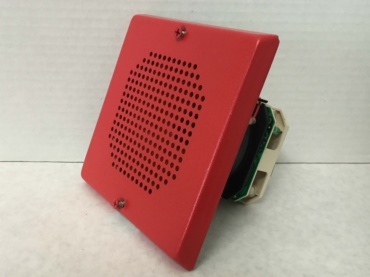 This is a TrueAlert speaker. 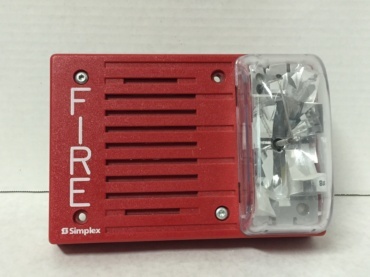 A “backup” of my other Simplex 4903-9102 light plate. 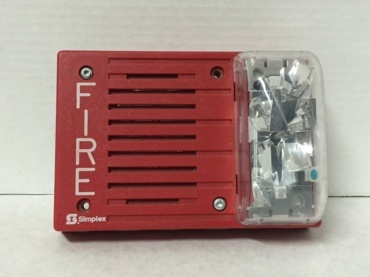 This rectangular Simplex notification appliances has an electromechanical horn mechanism, rather than an electronic horn mechanism or a speaker. 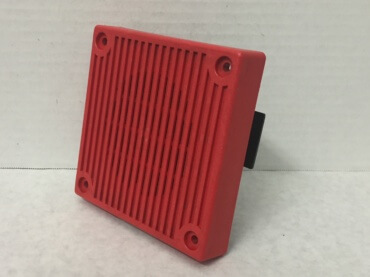 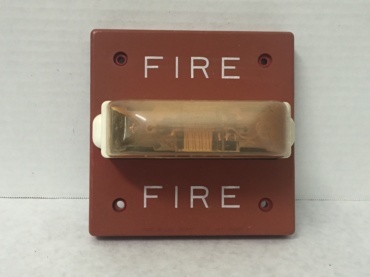 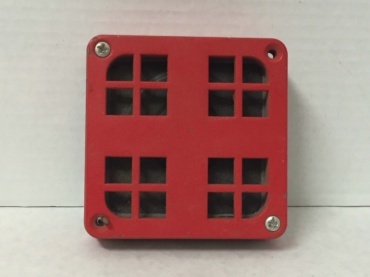 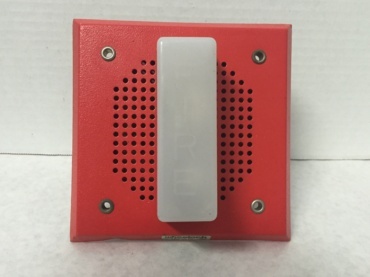 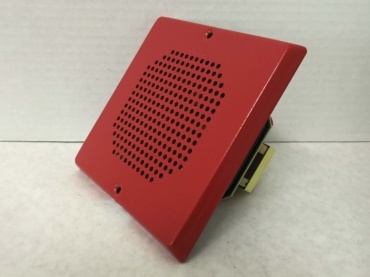 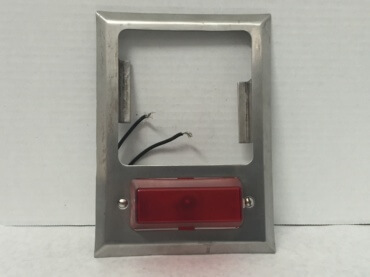 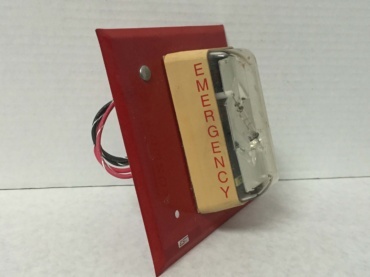 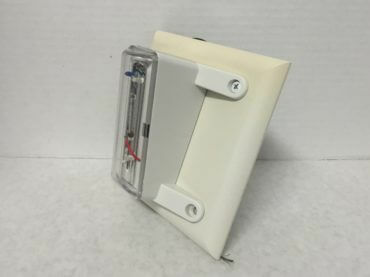 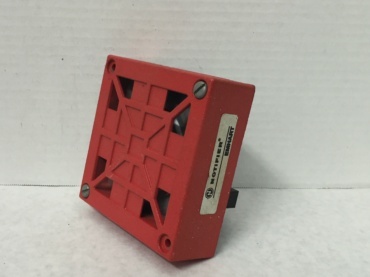 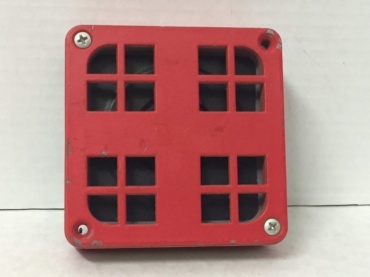 This rectangular Simplex notification appliances has an electromechanical horn mechanism, rather than a speaker or an electromechanical horn mechanism. 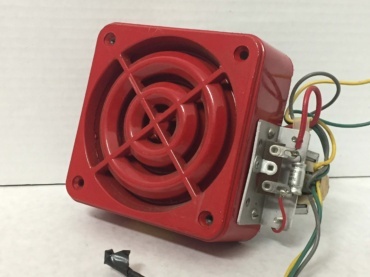 This horn has an electronic horn. 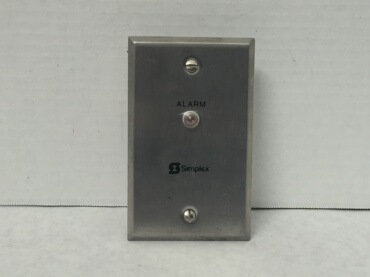 The strobe on this alarm model isn’t directly connected to the alarm, oddly enough. 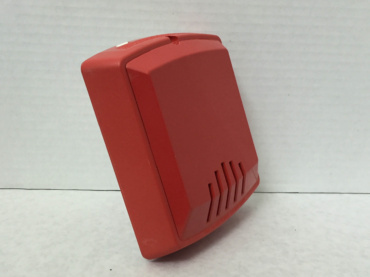 This is a SmartSync TrueAlert which I am able to use with my Simplex 4010. 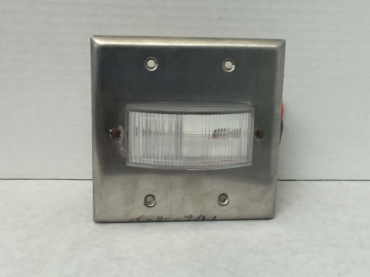 This light is fairly rare. 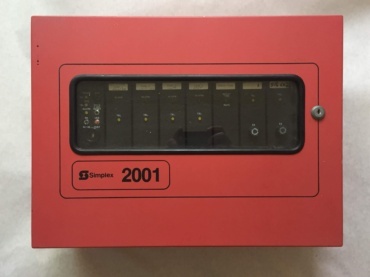 This is the same strobe that is found on the Simplex 4903-9101 strobe plates. 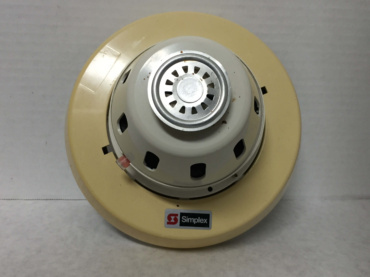 This is the ceiling-mount version of the Simplex 4904-9101 remote strobe. 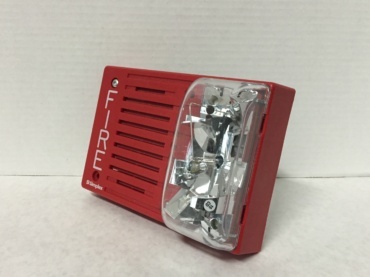 This is pretty compact strobe. 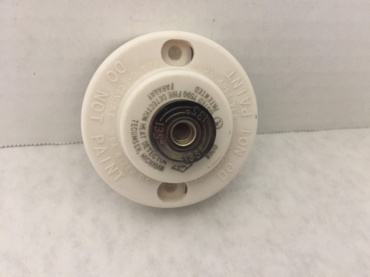 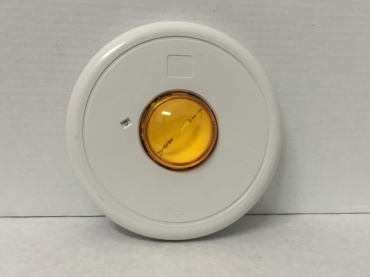 This strobe is essentially a white Simplex 4904-9137, but with a different candelas rating. 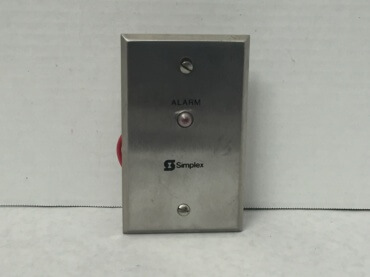 The Simplex label on this alarm can be peeled back to reveal the Gentex logo. 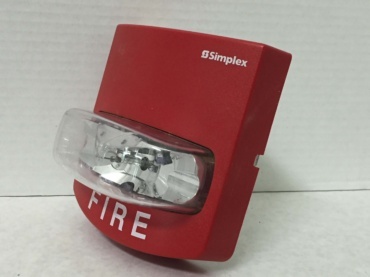 This alarm is essentially a Gentex GX90 (Simplex GX90-4R) with a Gentex GXS-4-15/75WR strobe attached to it. 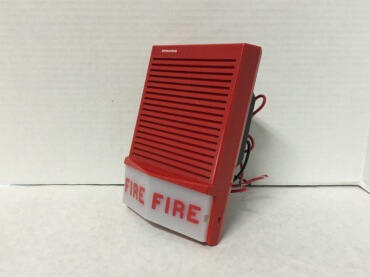 This alarm came with a Wheelock EH-EL1 mounted onto it. 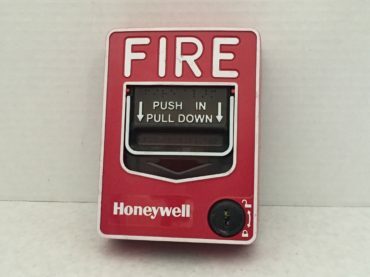 I have no clue what this pull station’s model number is. 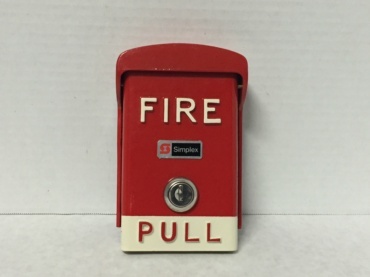 This pull station pulls very easily. After breaking the glass on the front of the pull station, the switch inside would be released. 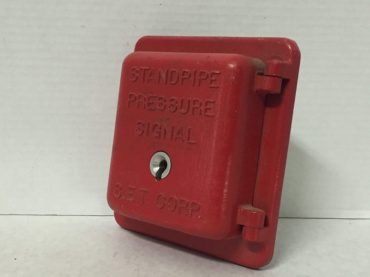 This is Standard’s iconic round pull station. 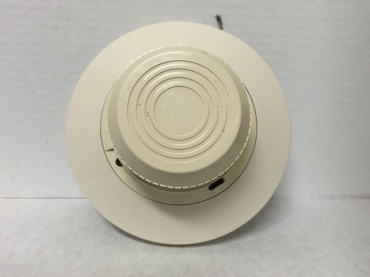 This smoke detector is fairly rare. 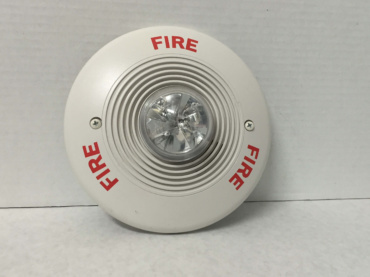 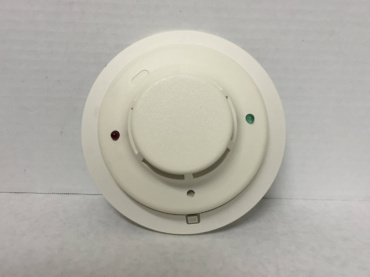 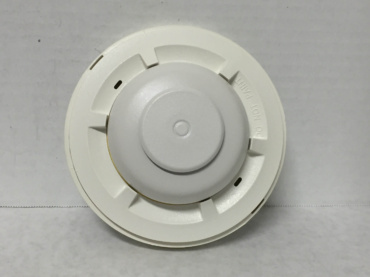 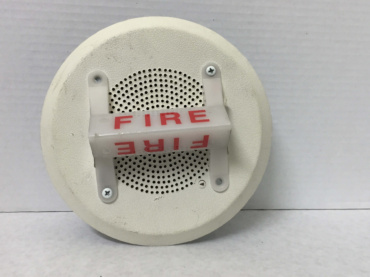 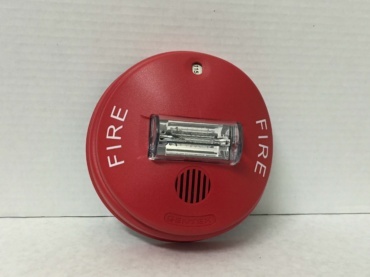 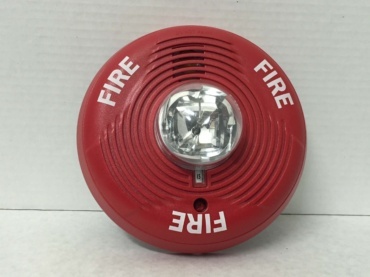 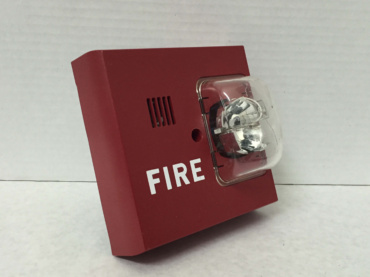 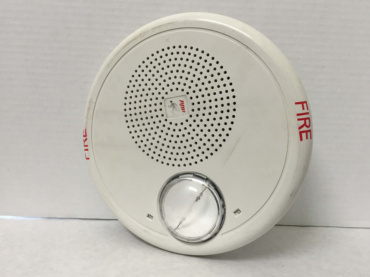 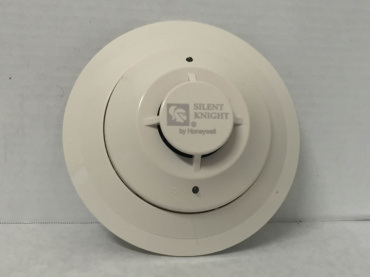 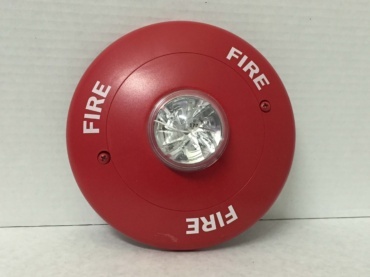 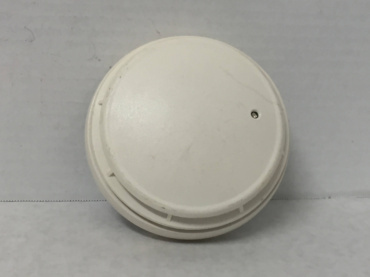 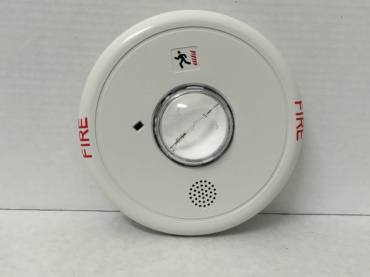 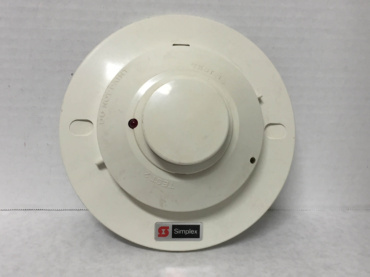 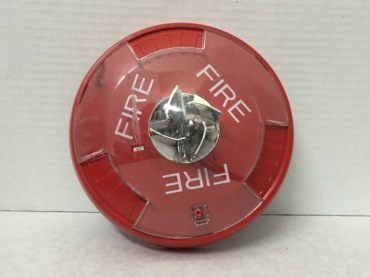 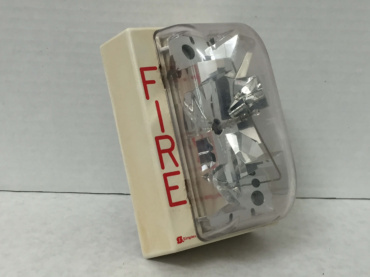 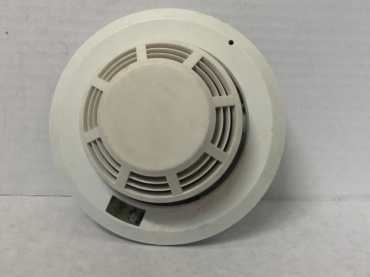 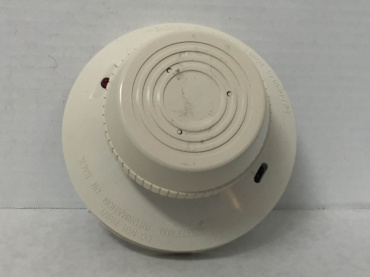 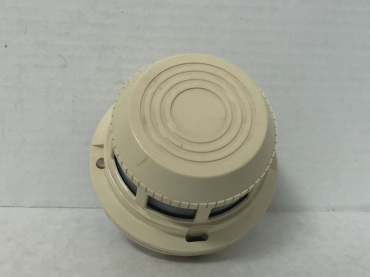 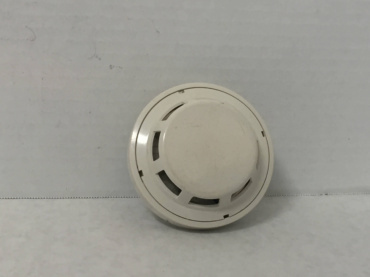 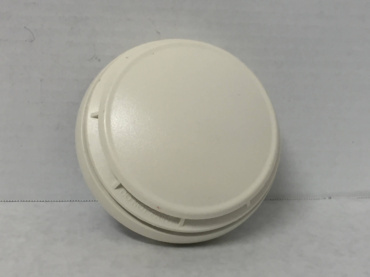 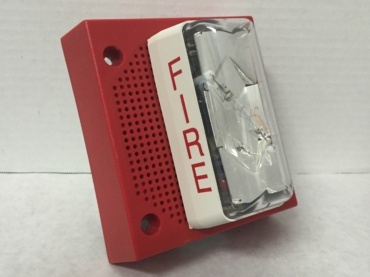 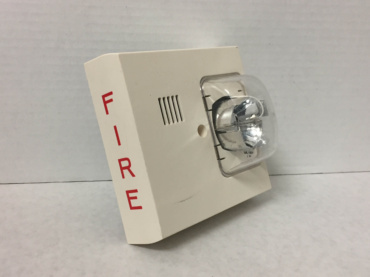 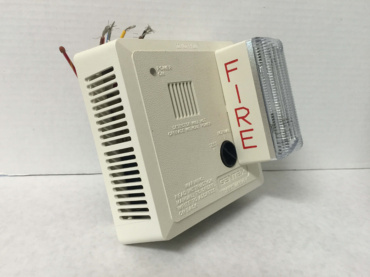 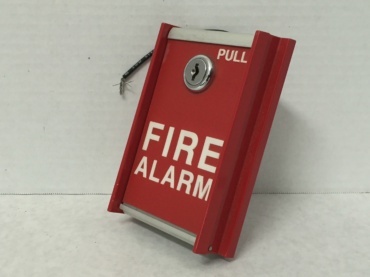 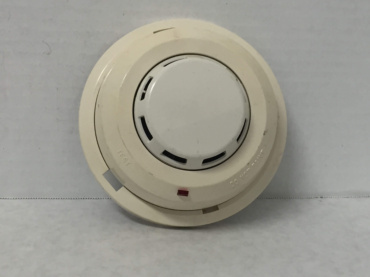 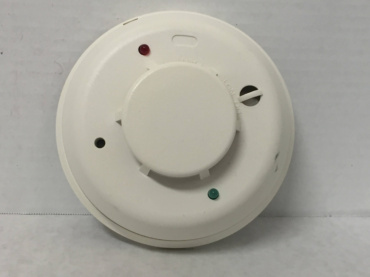 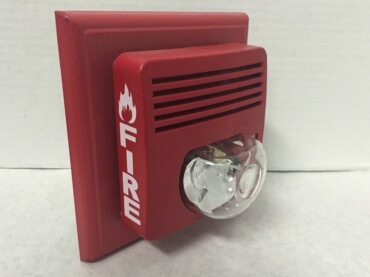 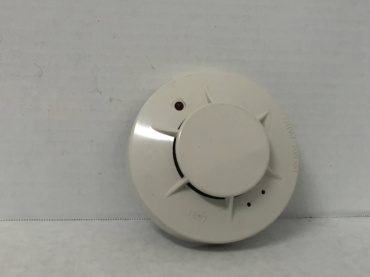 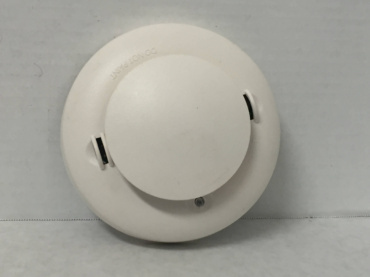 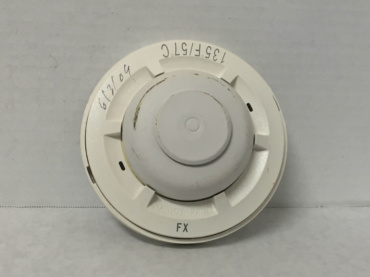 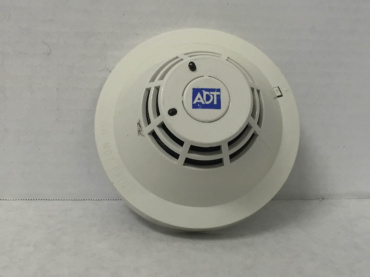 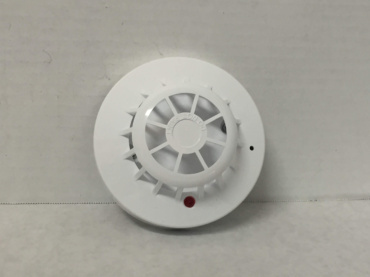 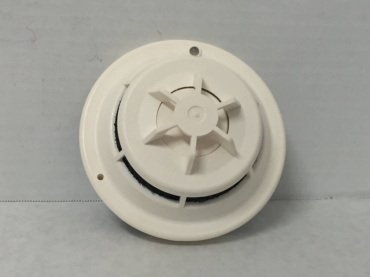 This smoke detector is sometimes referred to as the “doorknob” because of its doorknob-like appearance. 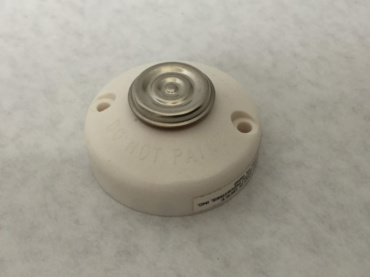 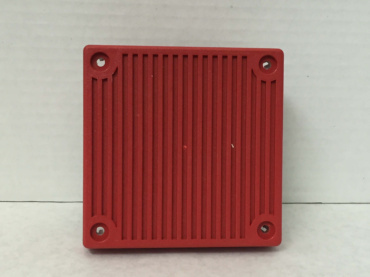 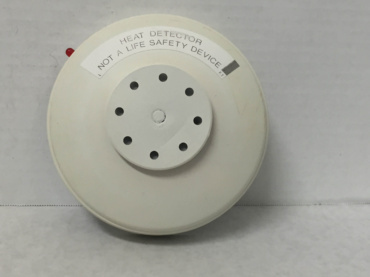 This detector is like the System Sensor 2424, but with a thermal detection element. 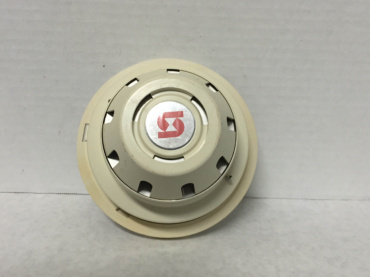 I’m not quite sure what the purpose of the “extravagant” base on this smoke detector is for. 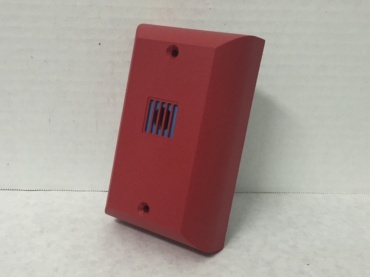 This detector is part of the i3 series of detectors. 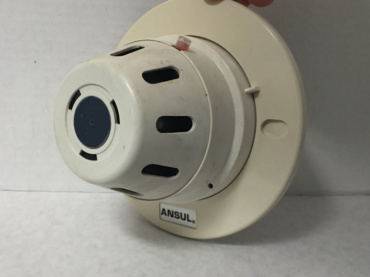 This i3 is like the System Sensor 2W-B with a sounder base. 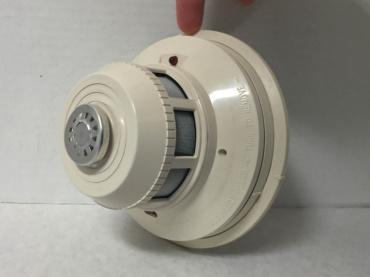 This 4-wire smoke detector also has a thermal heat sensor. 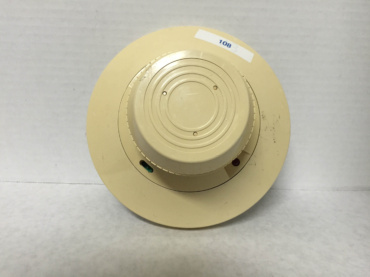 This is a 135F rate of rise and fixed temp heat detector. 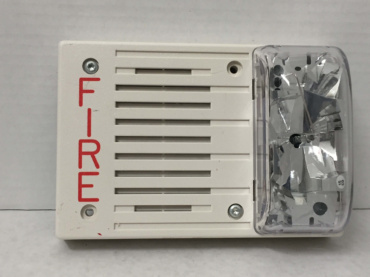 All of the writing and printing on the exterior of the detector takes away from its overall appearance. 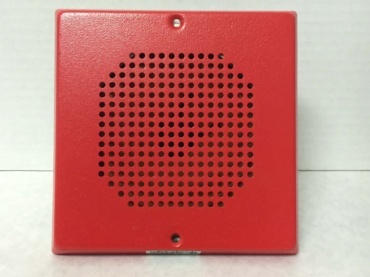 This alarm just looks like a slightly smaller version of the SpectrAlert Classic speaker/strobe. 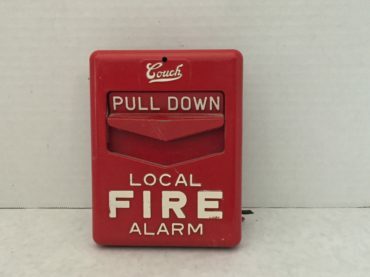 This is the Canadian version of this alarm. 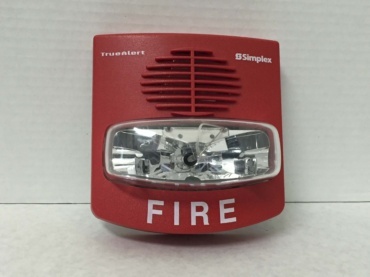 This multi-alert sounder/strobe has slightly more “mechanical” tones than the System Sensor MASS24LO. 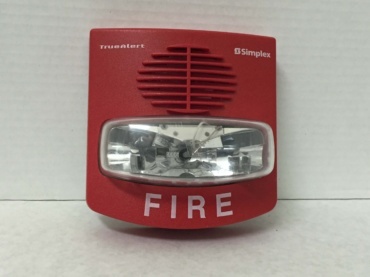 MASS stands for “Multi-Alert Sounder/Strobe.” As the name suggests, it can do more than one tone. 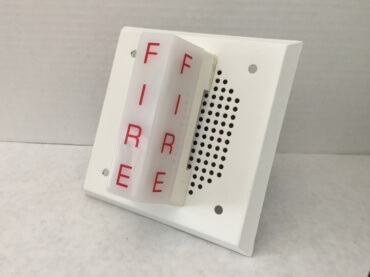 This alarm is capable of doing multiple tones. 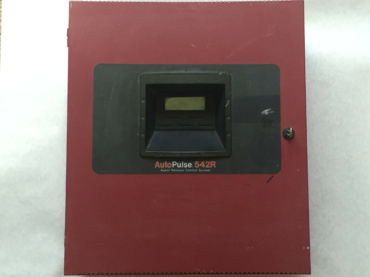 The MASS241575ADA is the updated version of this. 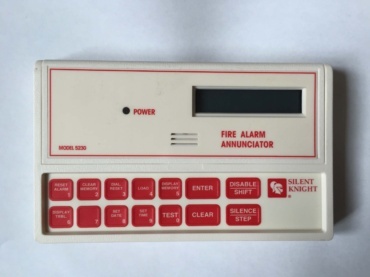 This is a SpectrAlert classic with a fixed candelas settings of 75. 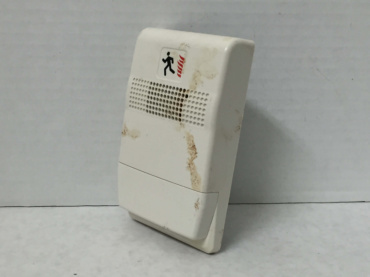 This is an outdoor SpectrAlert Advanced. 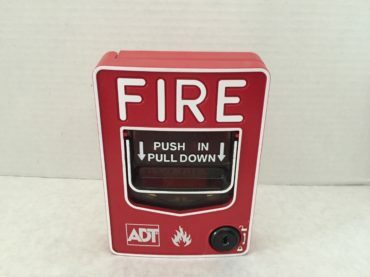 Unlike my System Sensor P2R, this alarm does 4-wire operation. 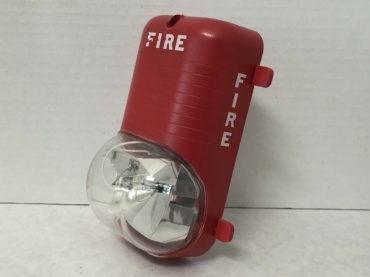 The horn’s model is PA400B, the strobe’s model is PS24LO. 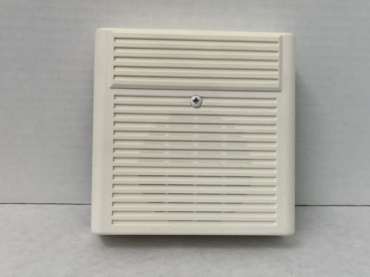 This is a ceiling-mount SpectrAlert Advance. 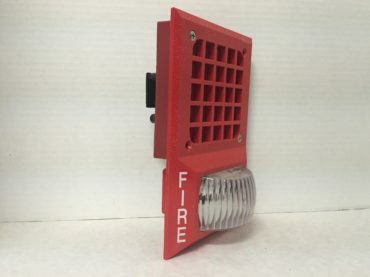 This is a really odd horn/strobe. 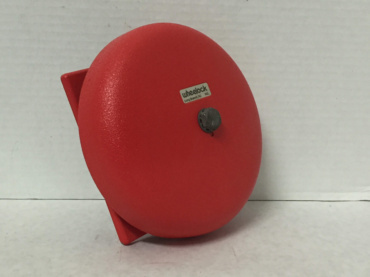 The horn is actually a mini horn, so it makes a really high-pitched tone. 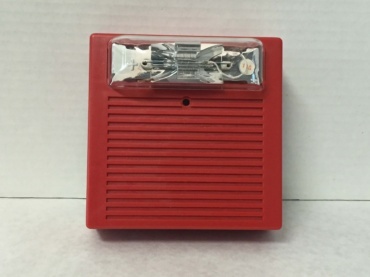 This is a 12-volt strobe meant for uses with alarms such as the System Sensor PA400R. 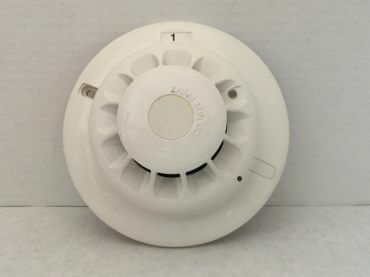 This alarm is a white SpectrAlert Classic remote strobe with multiple candelas options. 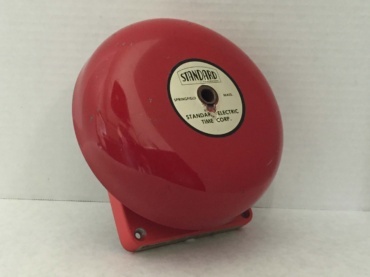 This strobe has a candelas rating of 177. 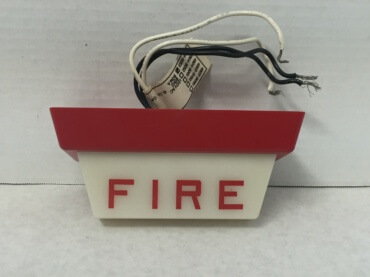 You don’t see many of these alarms that are white. 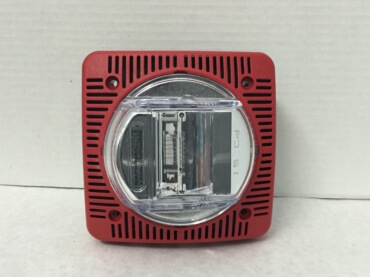 The strobe portion can detach from the speaker body. 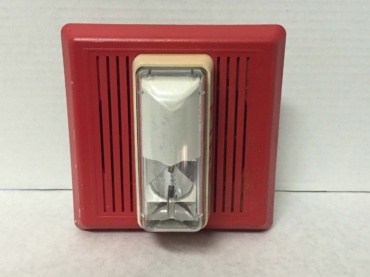 This speaker/strobe was around at the same time as the SpectrAlert Classic series. 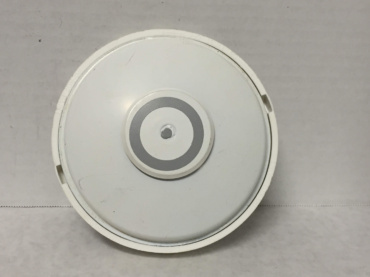 This is a white, SpectrAlert Advance speaker/strobe. 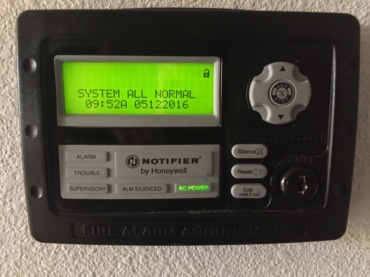 This unit is exactly the same as my other System Sensor SR. 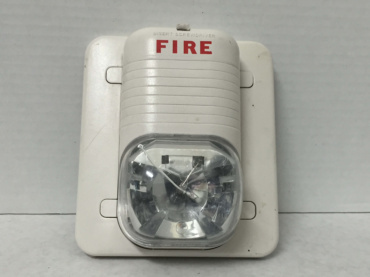 This alarm is the remote strobe that would go along with the MASS241575ADA. 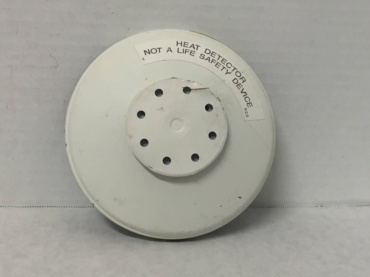 This heat detector is very small compared to a lot of the other ones that I have. 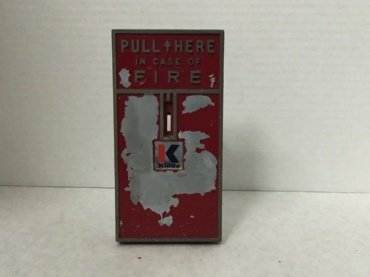 This pull station is actually made by Kidde. 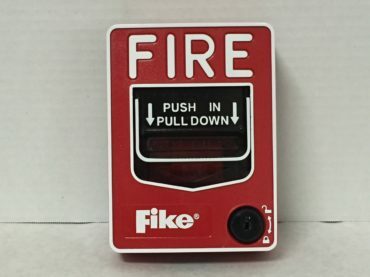 It’s sort of like a combo of a Fire-Lite BG6 and BG-10. 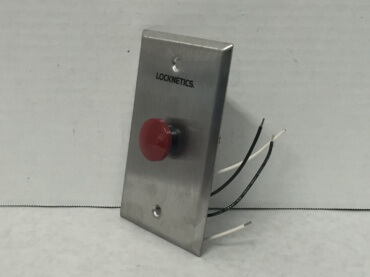 I have no clue who makes this switch or what its model number is. 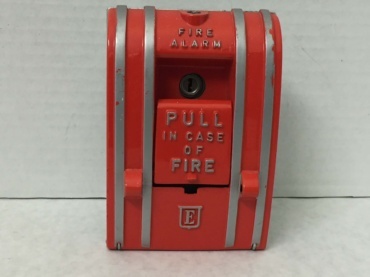 Believe it or not, this pull opens with a CAT-30 (B) key. 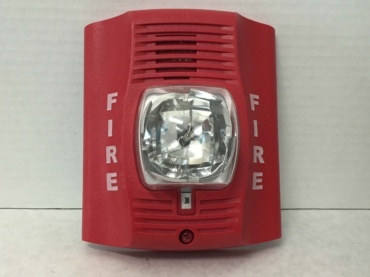 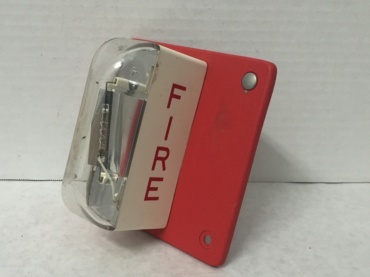 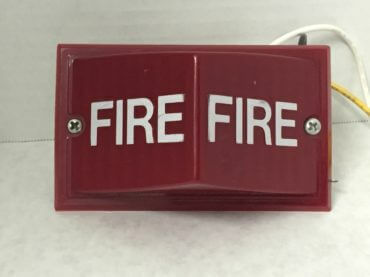 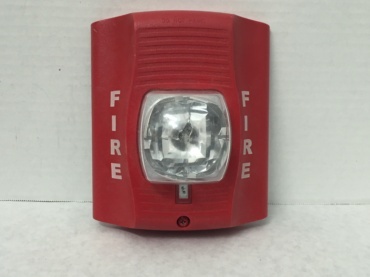 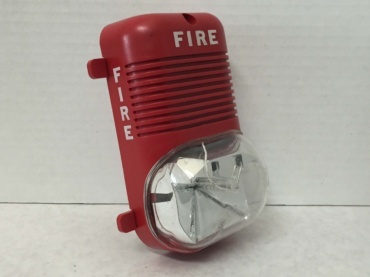 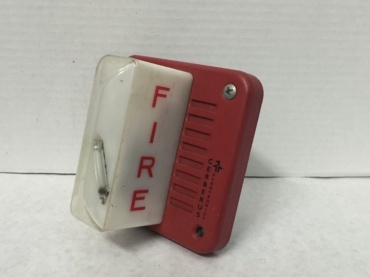 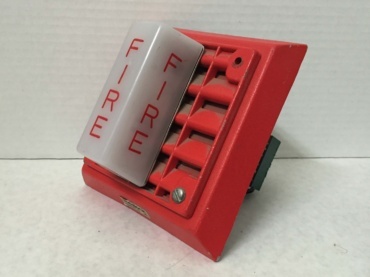 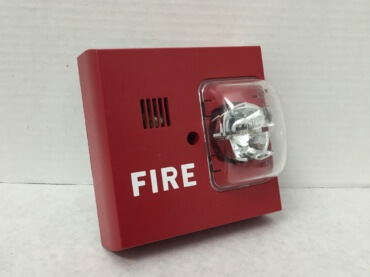 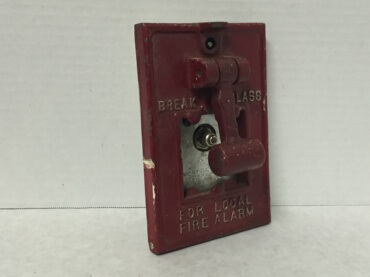 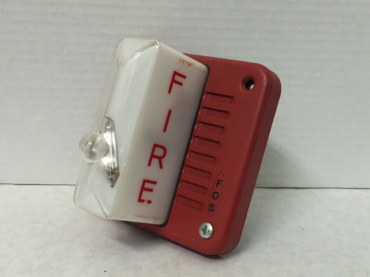 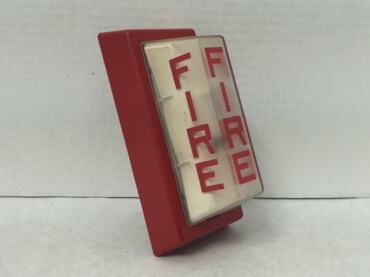 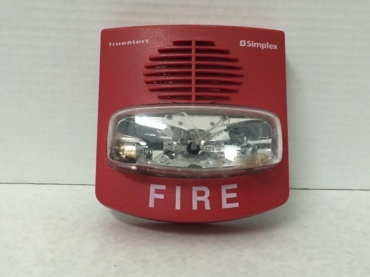 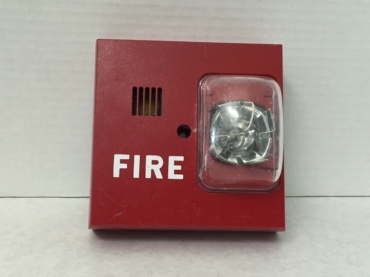 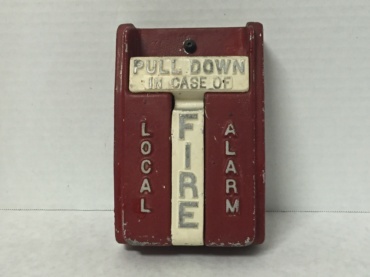 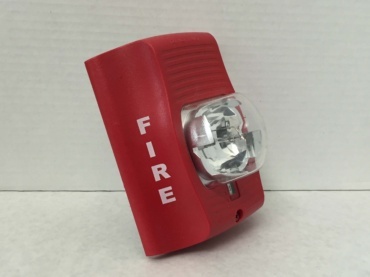 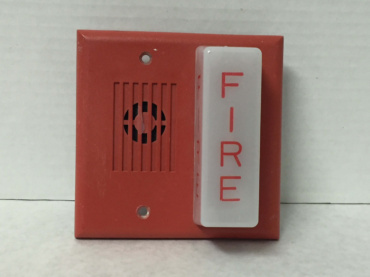 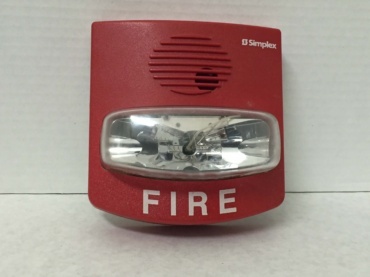 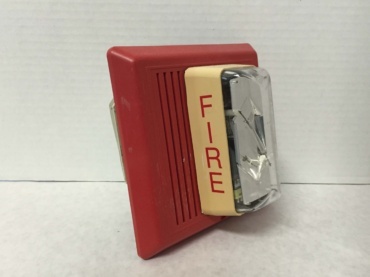 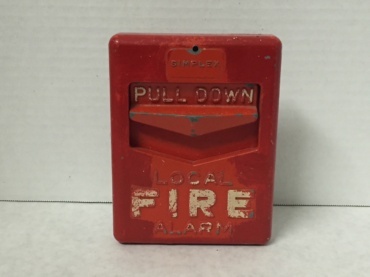 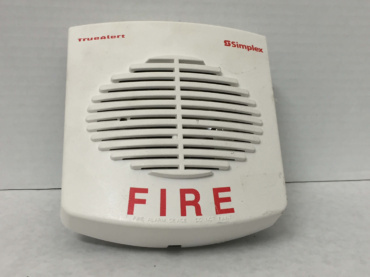 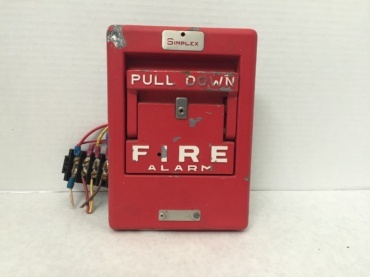 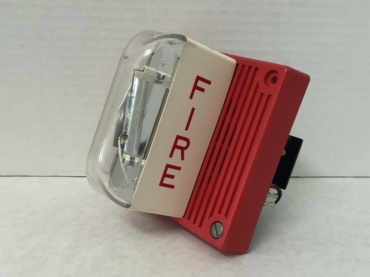 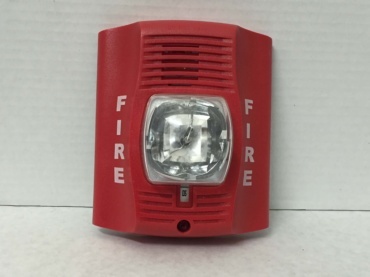 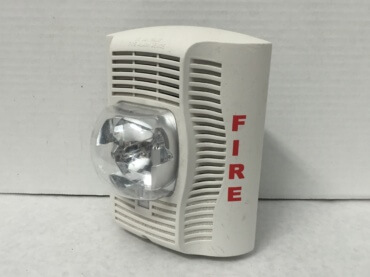 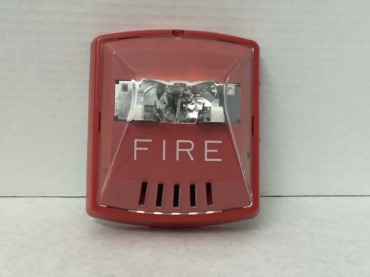 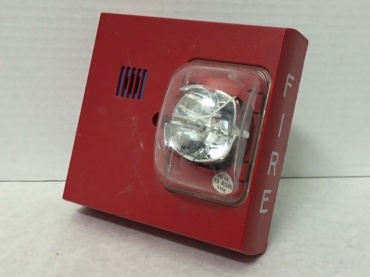 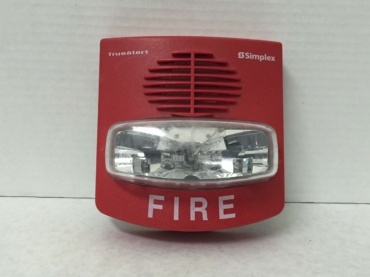 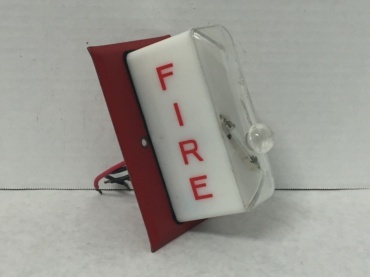 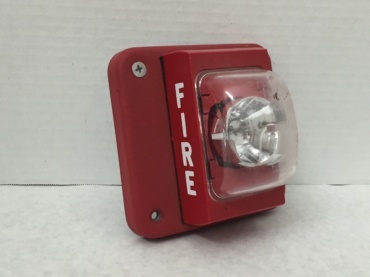 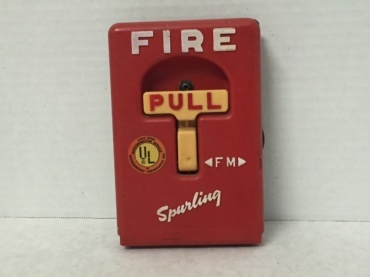 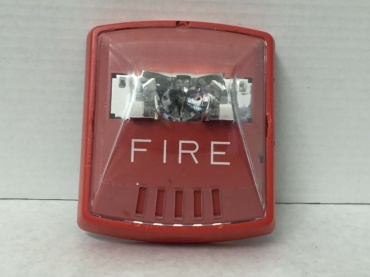 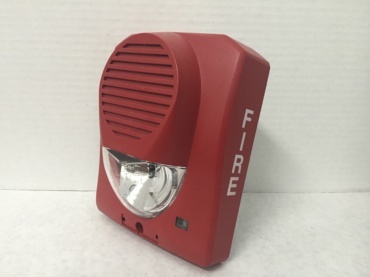 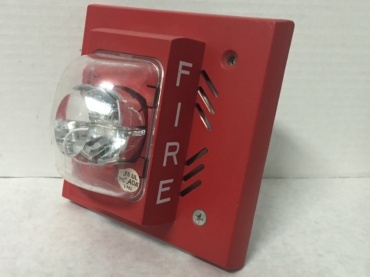 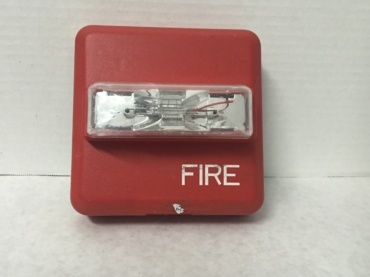 Just like the Wheelock 7002T-24, the horn on this alarm skips whenever the strobe flashes. 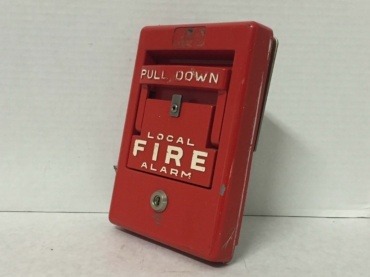 Another Wheelock 7002T-24 which I’ve incorporated into my collection. 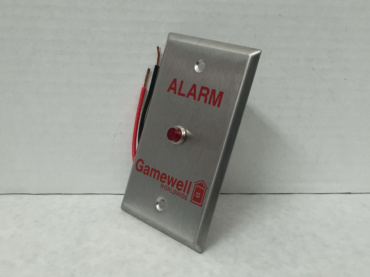 Depending on which set of inputs has power applied to it, the alarm will produce a different tone. 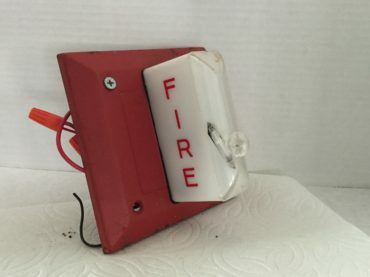 This AS has a fixed candelas rating of 110. 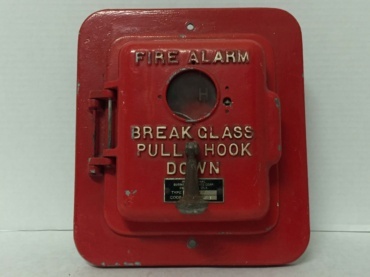 This is an earlier, horizontal version of the AS. 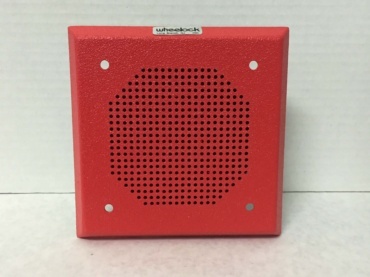 This is similar in appearance to the Wheelock E70-R, but it is a chime instead of a speaker. 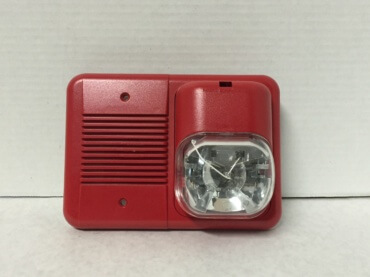 Same idea as my other Wheelock CH70-24. 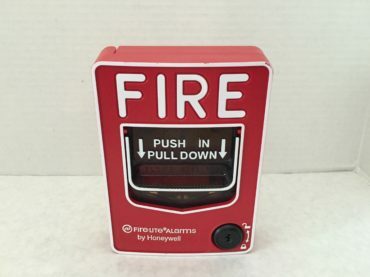 This is a very nice alarm. 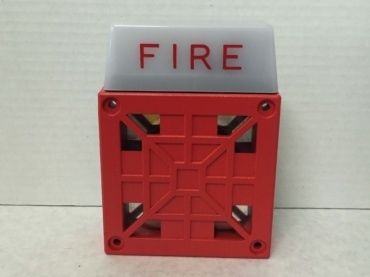 Since it is so quiet, it is great for testing purposes. 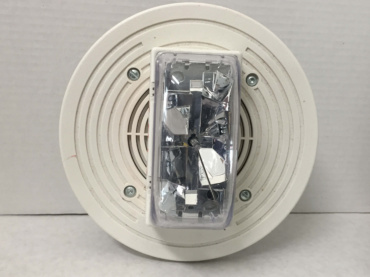 This is an interesting single-gang ceiling-mount strobe. 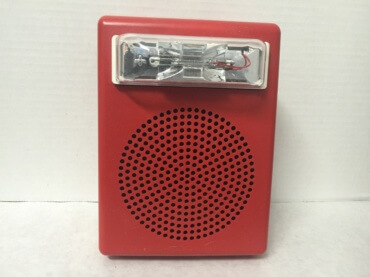 This is a read Speaker/Strobe with a multi-candelas strobe. 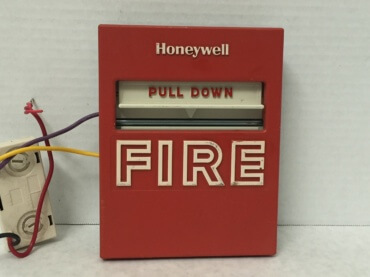 This unit still has its backbox attached to it. 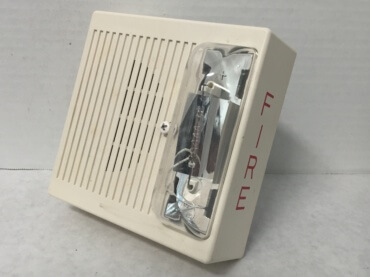 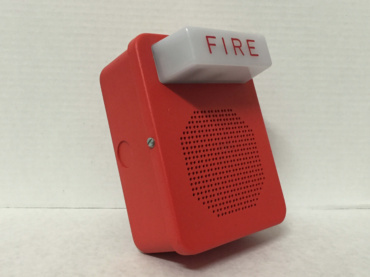 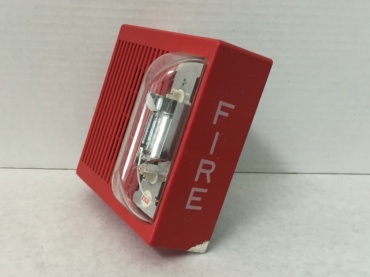 Although similar in appearance to the Wheelock CH70-24, this alarm is simply a speaker. 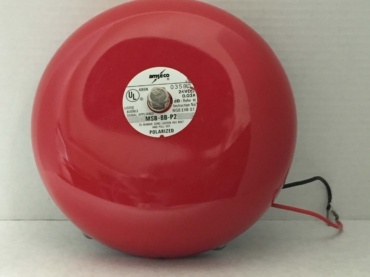 The white and red versions of this speaker both have the same model number. 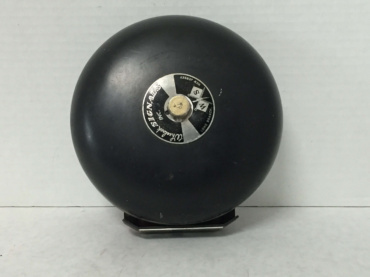 Nothing like a vintage Wheelock bell! 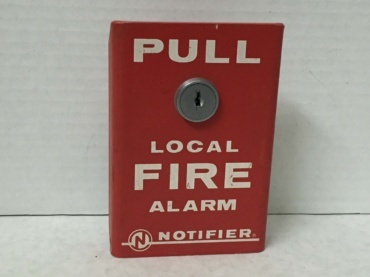 I got this with my Wheelock NC-OS pull. 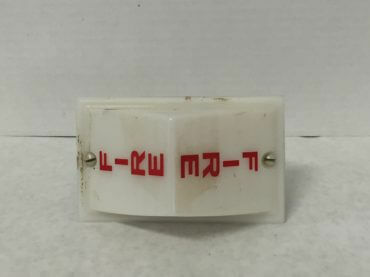 This is from the Exceeder series. 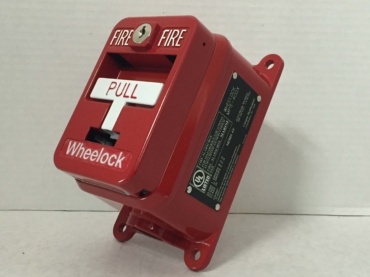 It is a horn-only version of the Wheelock HSR. 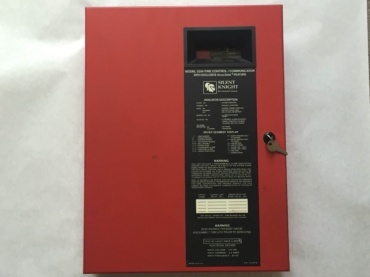 This is from the Exceeder series. 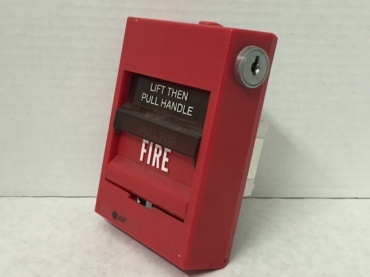 The only difference between this and my Wheelock HSW is the color. 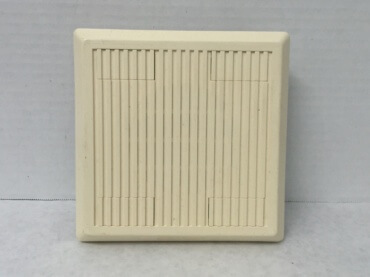 This is from the Exceeder series. 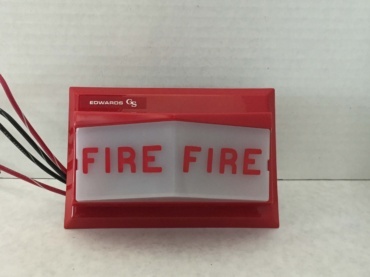 It definitely has the most candelas options of any of my alarms. 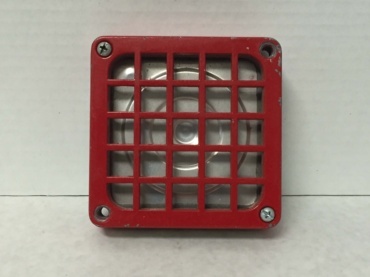 This is a 12VDC strobe. 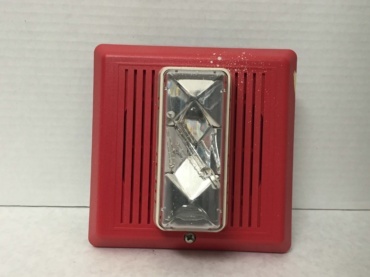 This is an interesting Wheelock strobe. 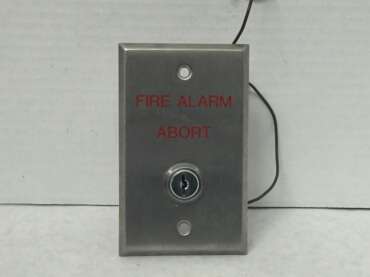 I’m not sure what type of application this was designed for. 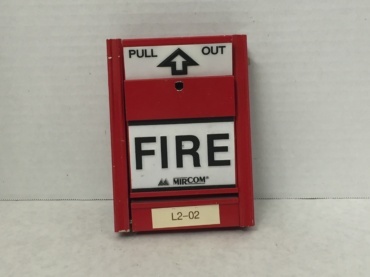 I’m missing this unit’s label, so that model number is only a guess. 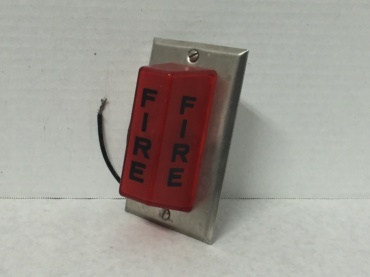 It’s probably right though. 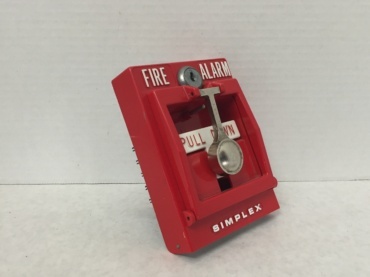 This bell’s box said that that this bell was actually manufactured for Simplex. 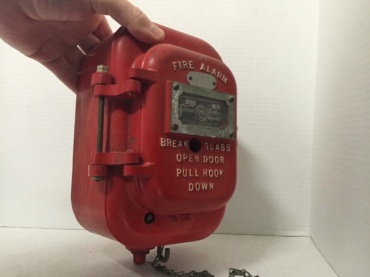 This alarm is in very nice condition. 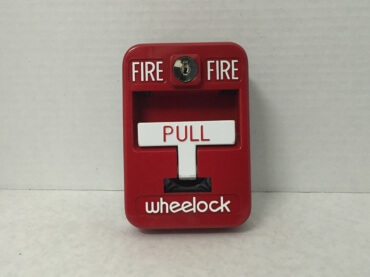 This is the only pull station marketed by Wheelock. 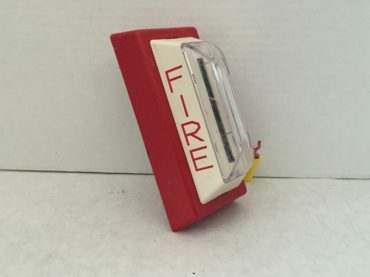 It’s not actually made by them though, it’s just a rebrand. 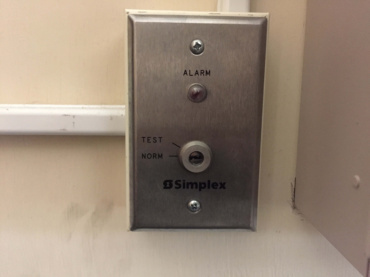 This is a horn-only multi-tone alarm. 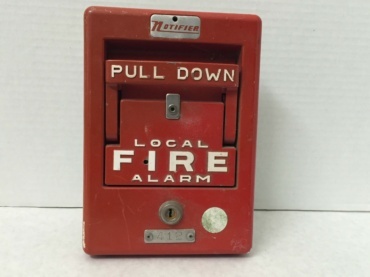 I believe that this MT is newer than the Wheelock MT4-24LSM, yet older than the Wheelock MT-24MCW. 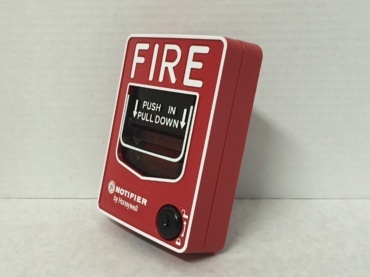 This is a MT from the newest generation. 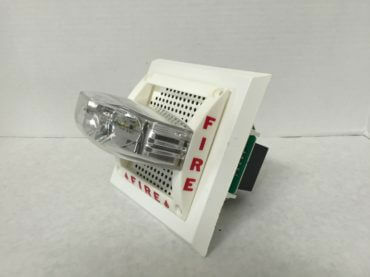 As you can tell, its grille is slightly broken. 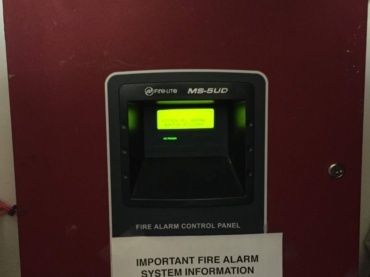 This MT runs off of 115 VAC. 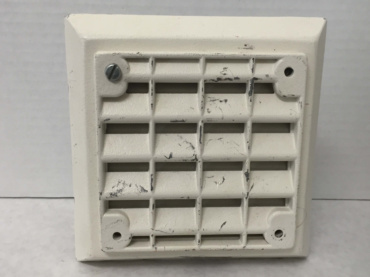 It has the older MT screw holes. 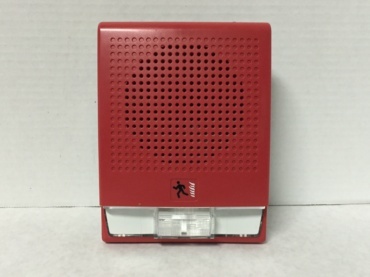 This is the outdoor version of the Wheelock MT-24MCW. 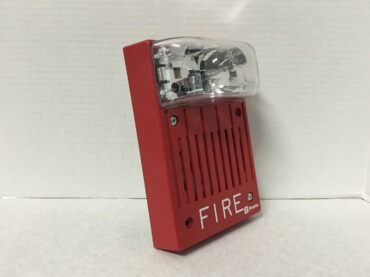 This is just a standard red, two-wire NS with a multi-candelas strobe. 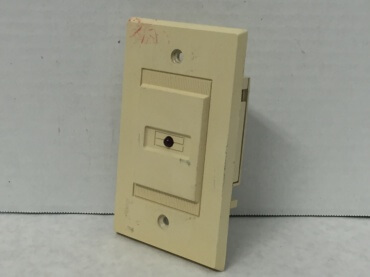 This is a two-wire, white Wheelock NS with a multi-candelas strobe. 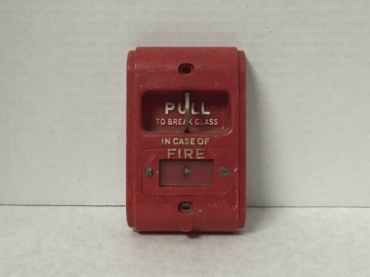 This is a rare 4-wire version of the NS. 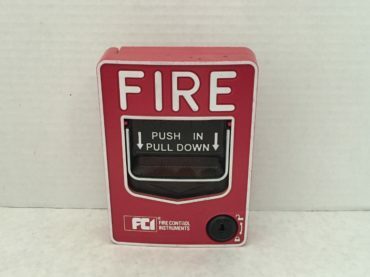 This was my first alarm. 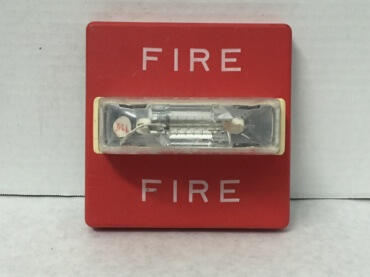 It is a rare 4-wire NS. 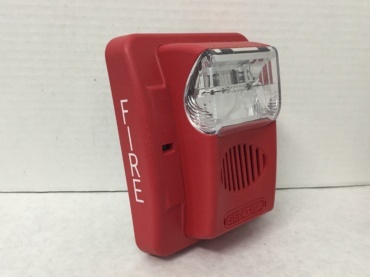 This RSS has a fixed candelas rating of 110. 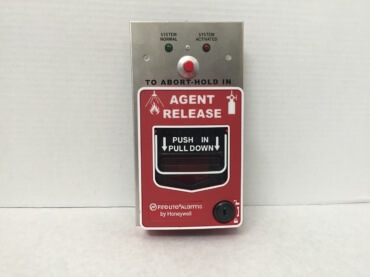 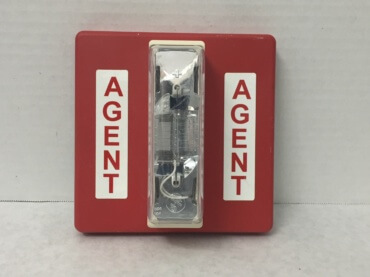 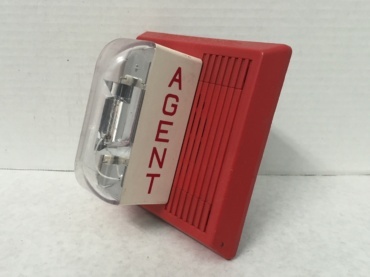 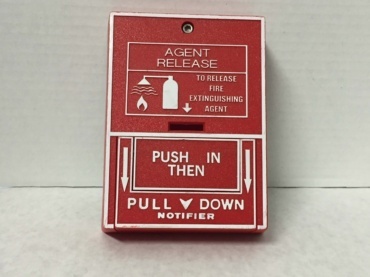 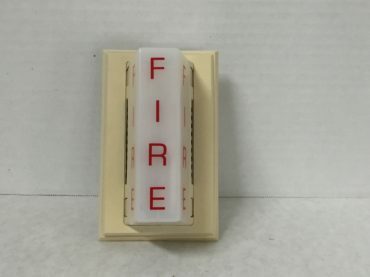 The “Agent” labels are only stickers that have been placed above the standard “Fire” letters. 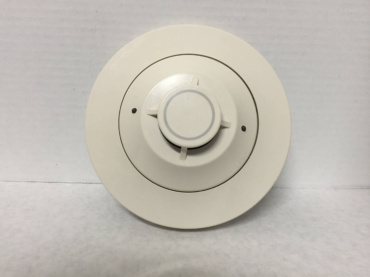 This is a white, ceiling mount RSS. 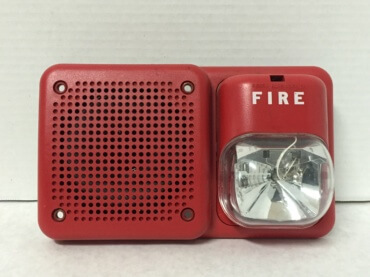 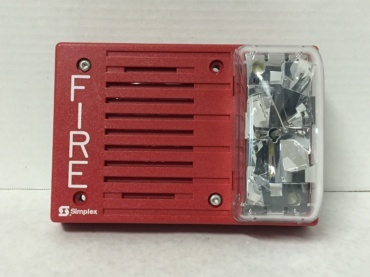 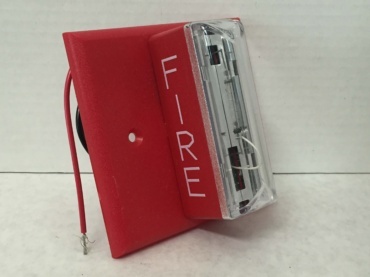 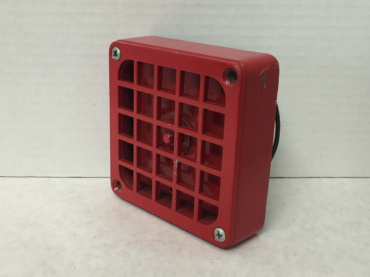 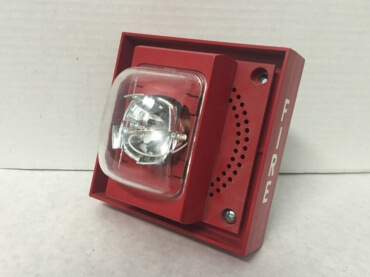 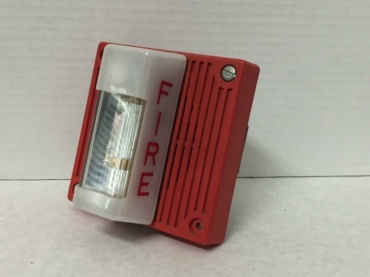 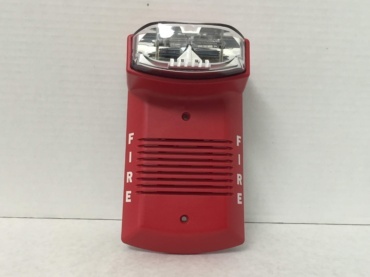 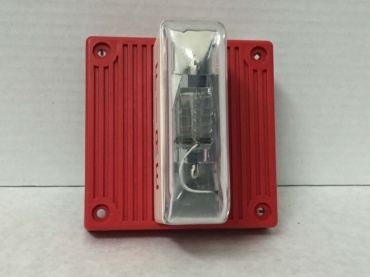 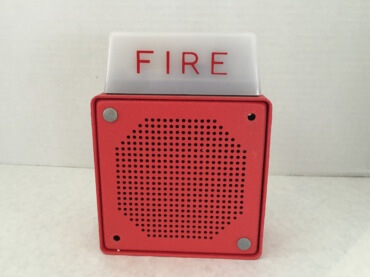 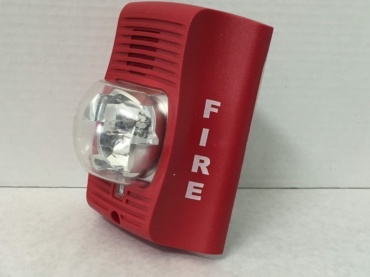 This is alarm is red and has a multi-candelas strobe. 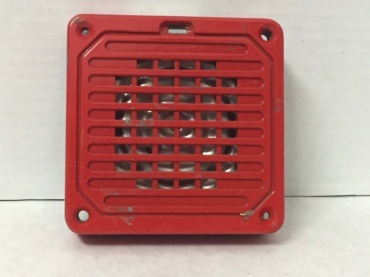 This strobe plate runs off of 12 VDC. 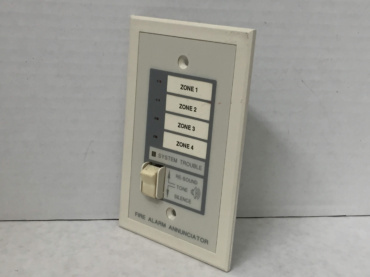 This strobe plate has multiple candelas settings. 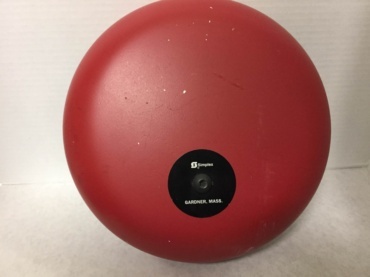 The strobe portion is essentially a Wheelock RSS-24MCW. 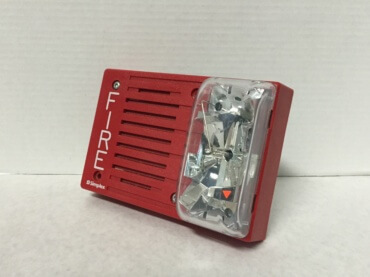 This RSS is meant for outdoor applications. 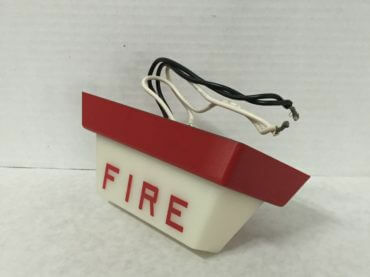 This is an early model of what would become the RSS. 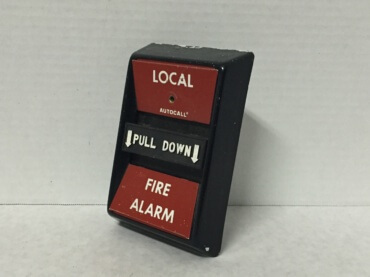 This is an old, vertical model of what is now the RSS. 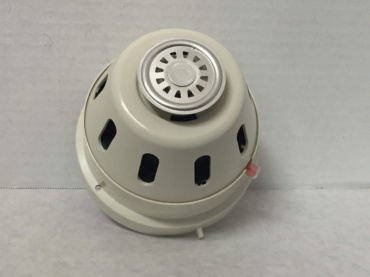 This is a ceiling-mount Exceeder horn/strobe. 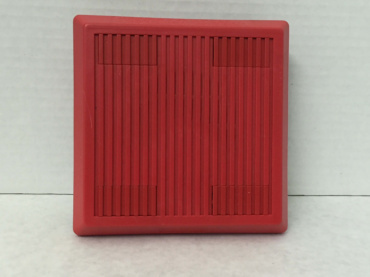 This is from the Exceeder series. 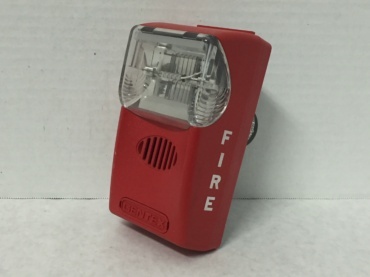 It looks like it could be a horn/strobe but is just a remote strobe. 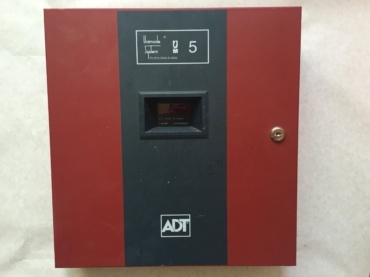 This particular unit is in fantastic condition. 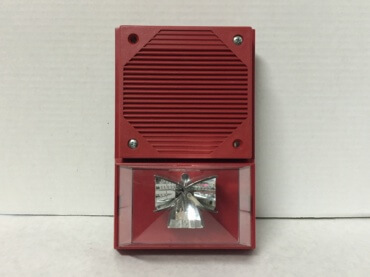 This is an outdoor strobe with a high candelas rating. 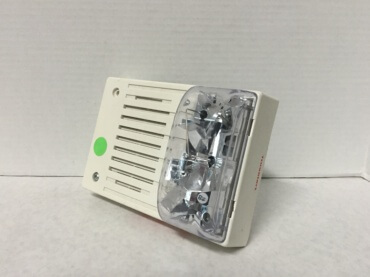 Looks as though this strobe was meant for outdoor applications. 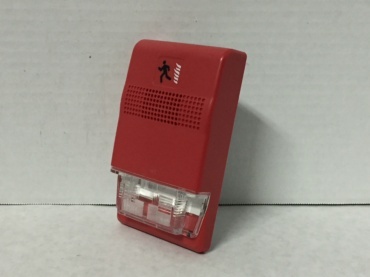 This alarm is similar to the Siemems ZH-MC-W except it is red and a remote strobe.